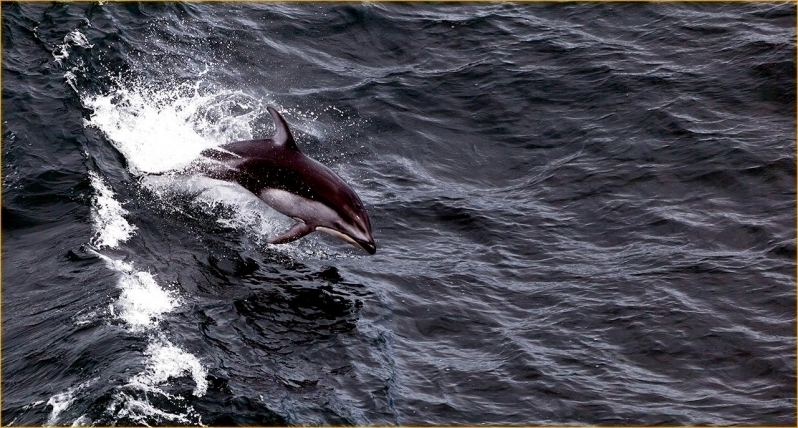 Common Dolphins are typically 1.7-2.6 meters in length and weigh between 70-135 kilograms. 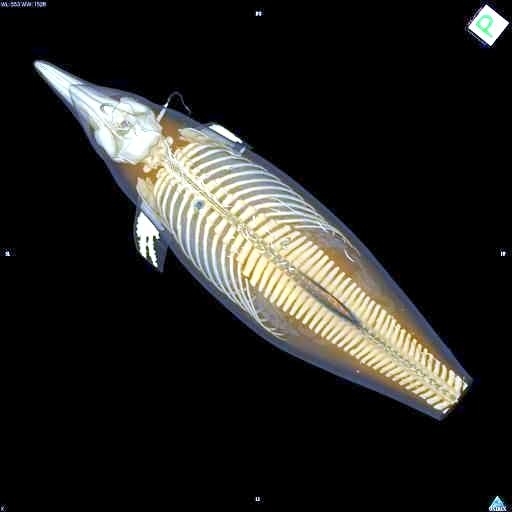 They are fusiform (shaped like a fish) and slender. 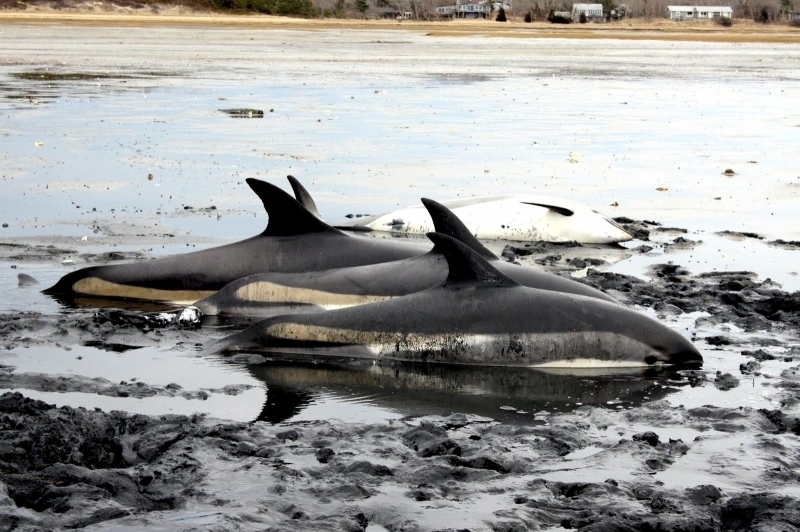 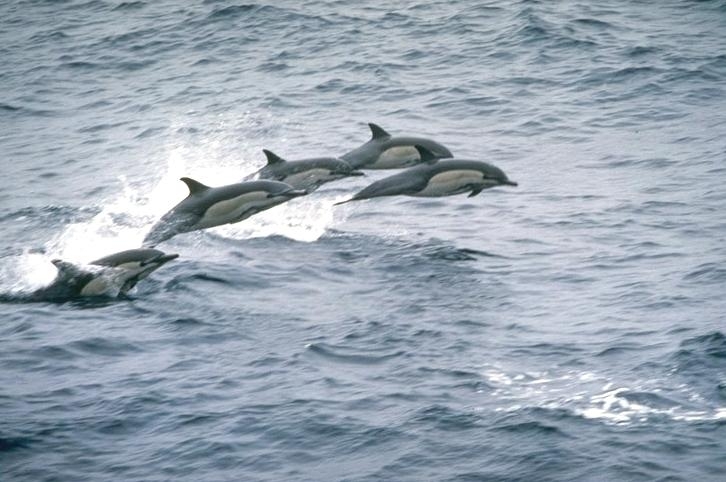 Their dorsal (upper or top side) side is black to brownish black with varying coloration and markings. 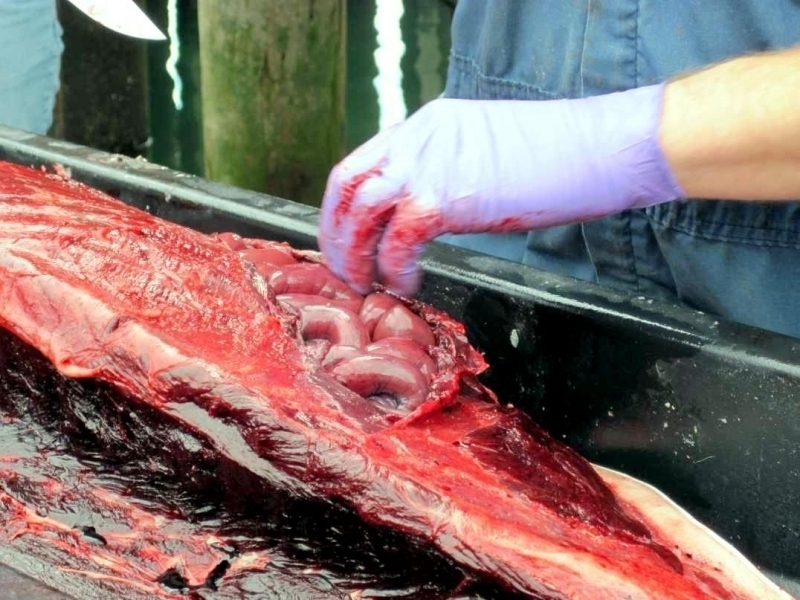 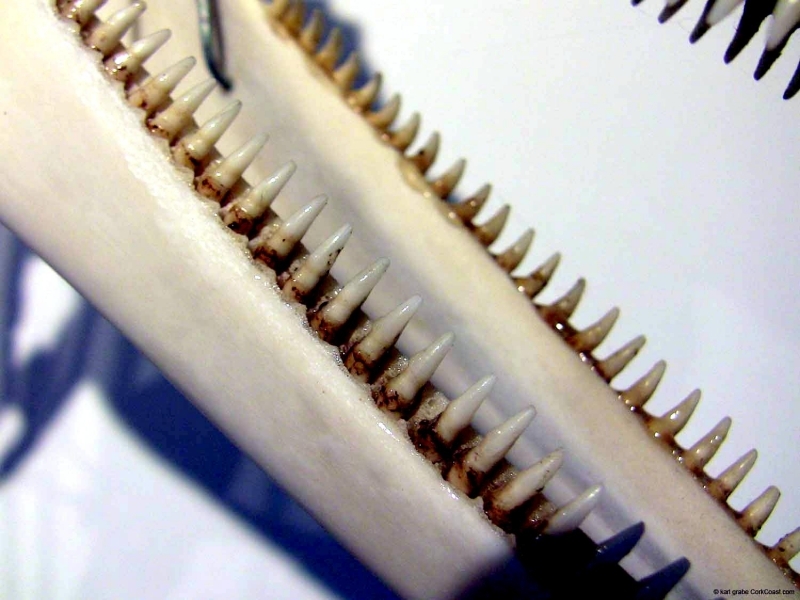 The ventral (under) side is off-white or white. 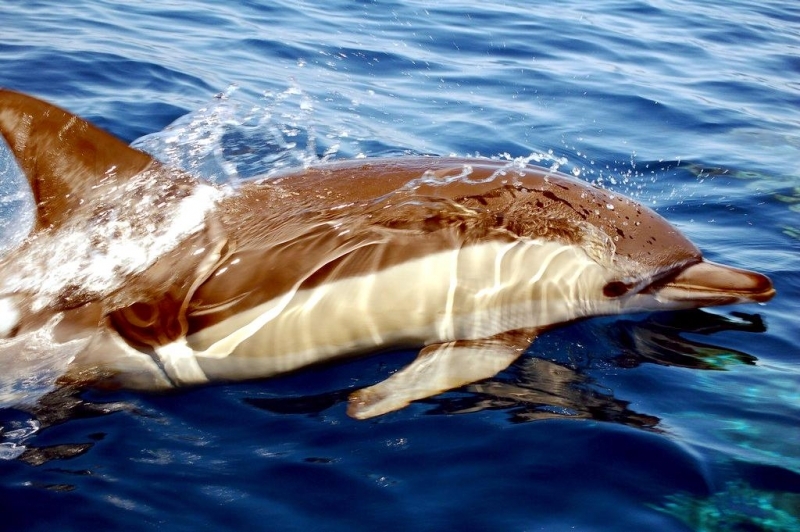 The flanks are distinctly marked with hourglass or criss-cross patterns that tan or yellowish tan in color. 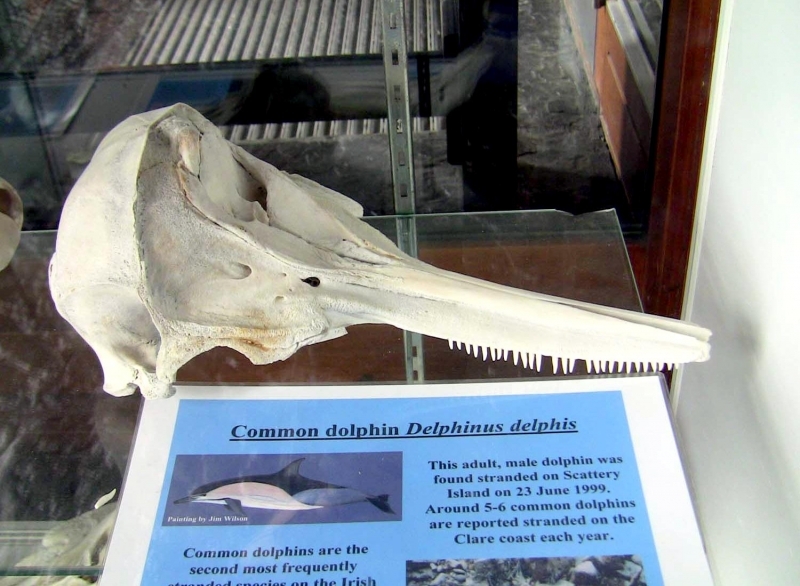 There are 2 species of dolphins that fall into the category of Common Dolphin with a possible 3rd to be added, but only time will tell. 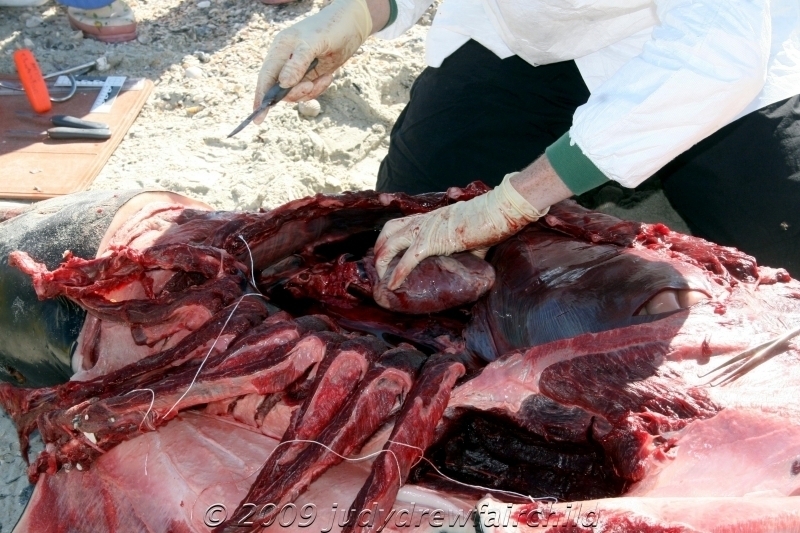 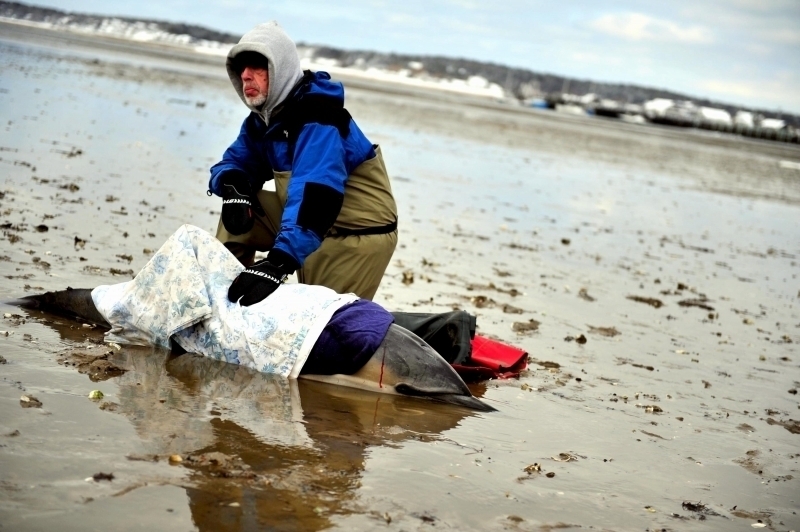 More research has to be completed to make that determination and it isn’t something that can be rushed. 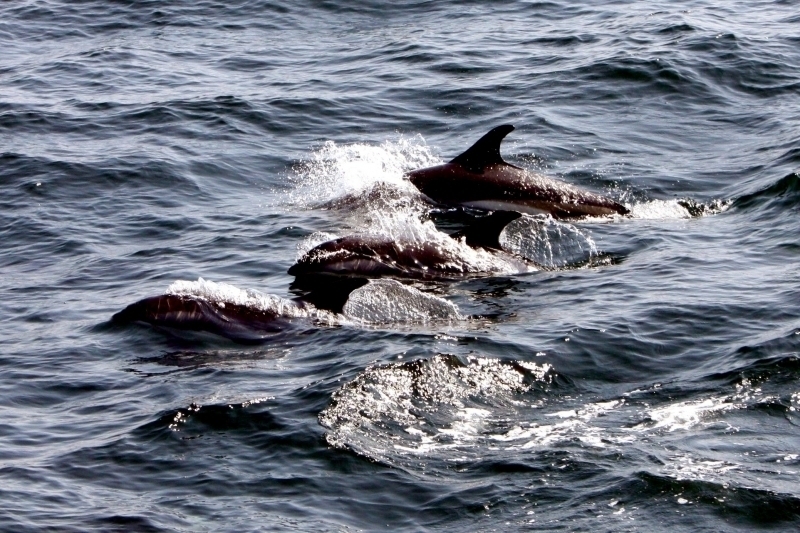 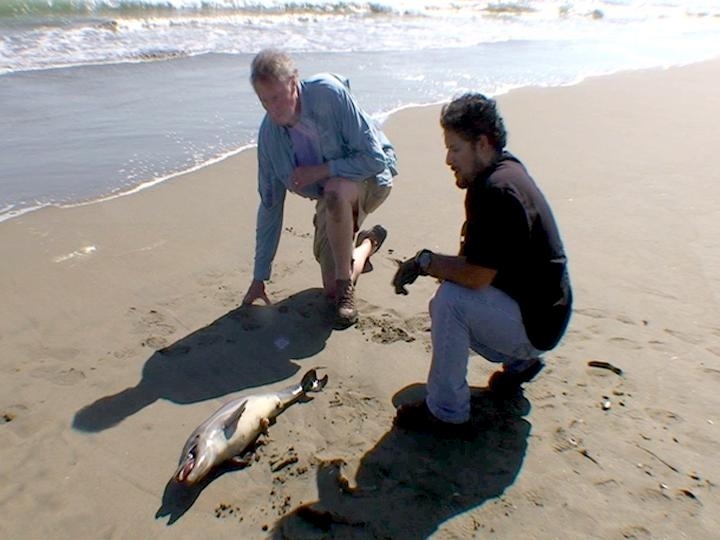 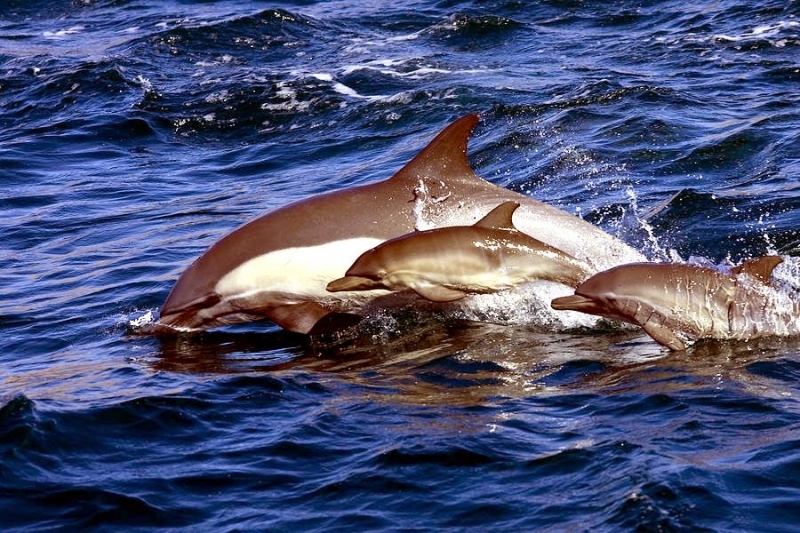 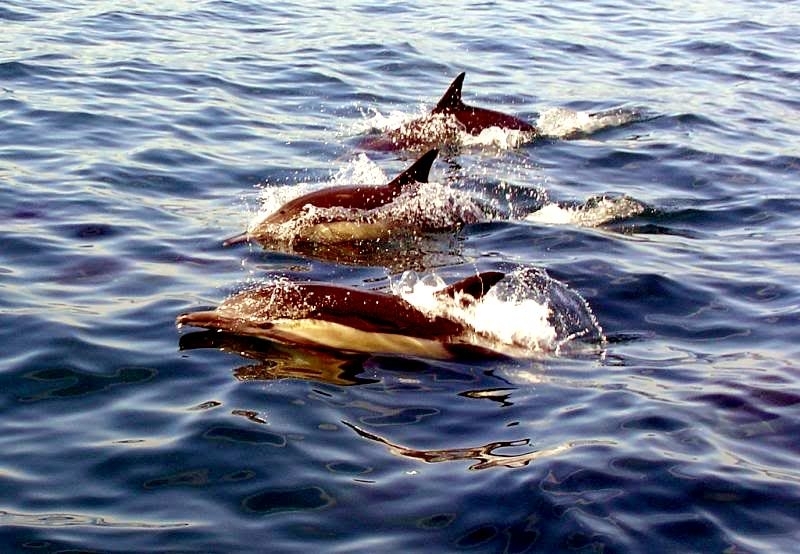 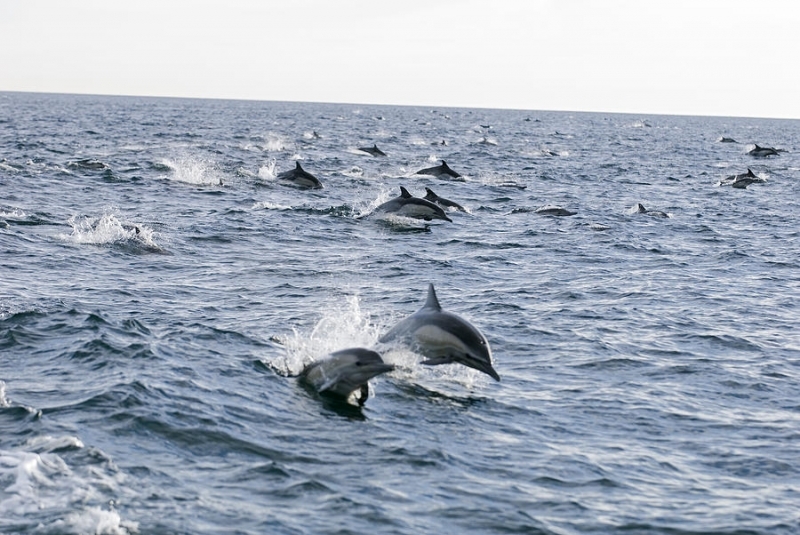 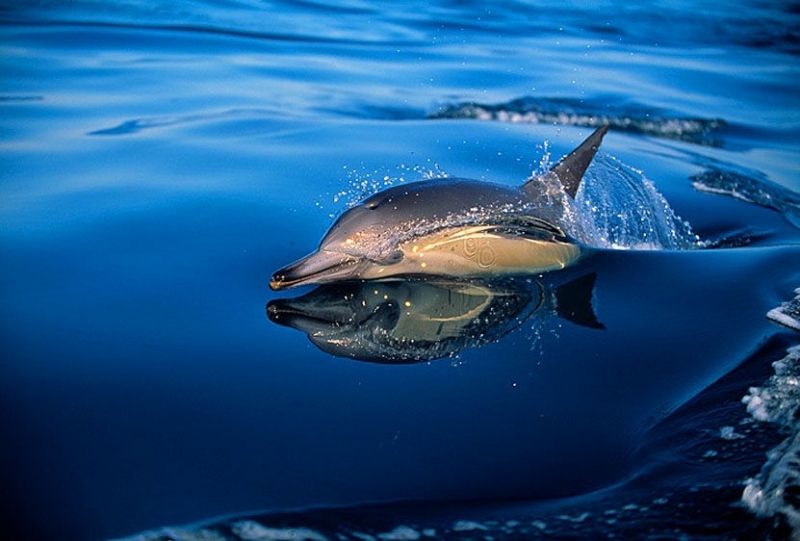 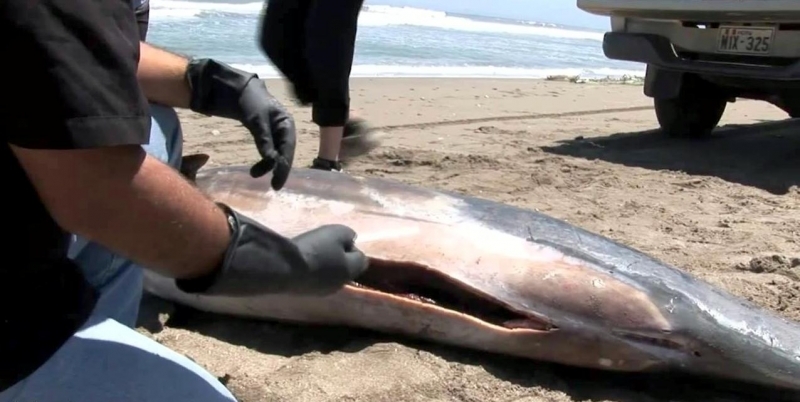 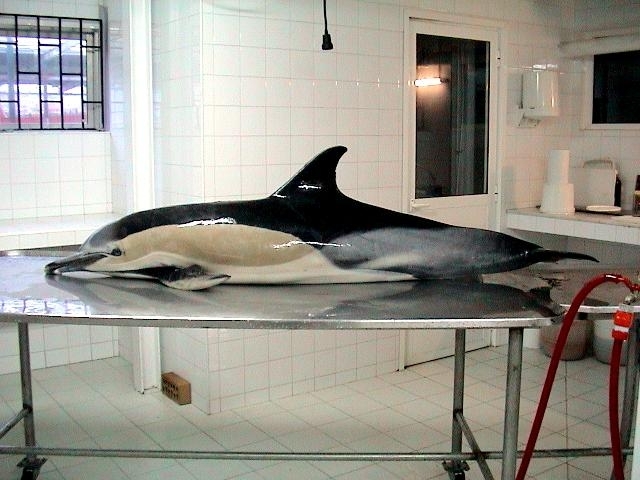 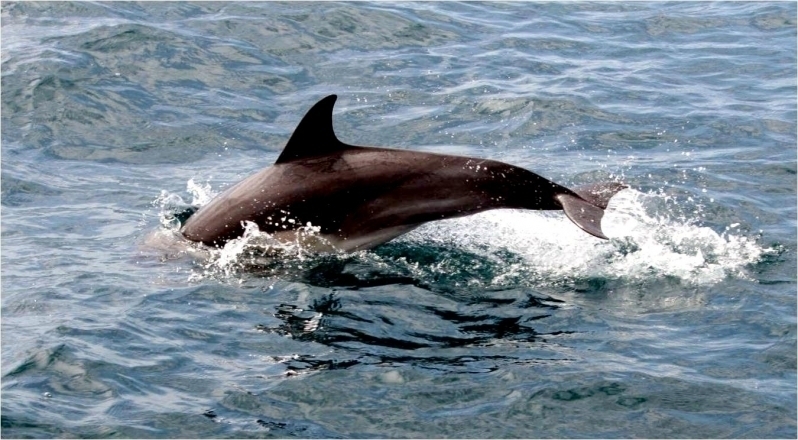 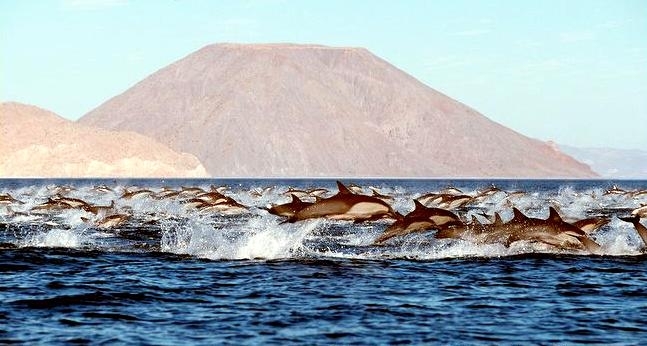 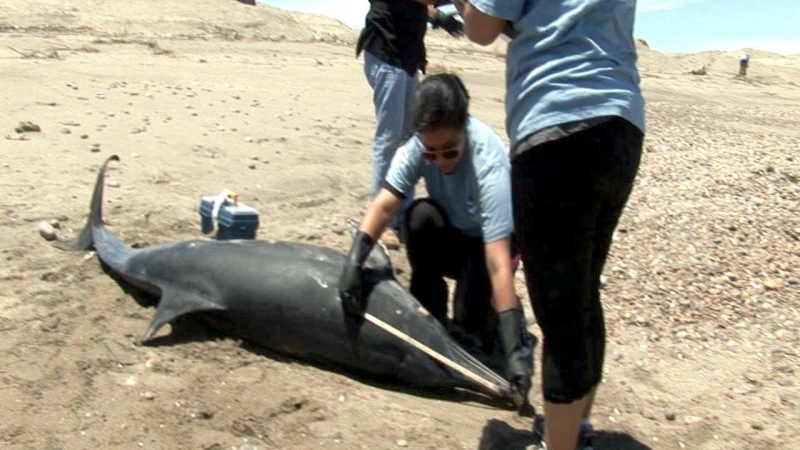 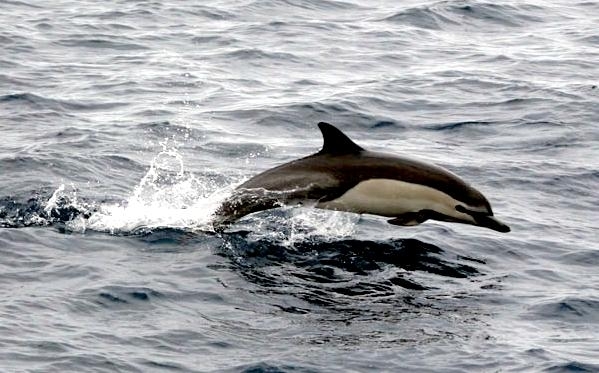 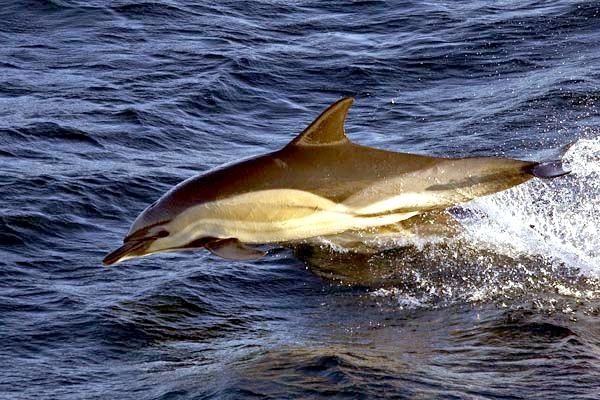 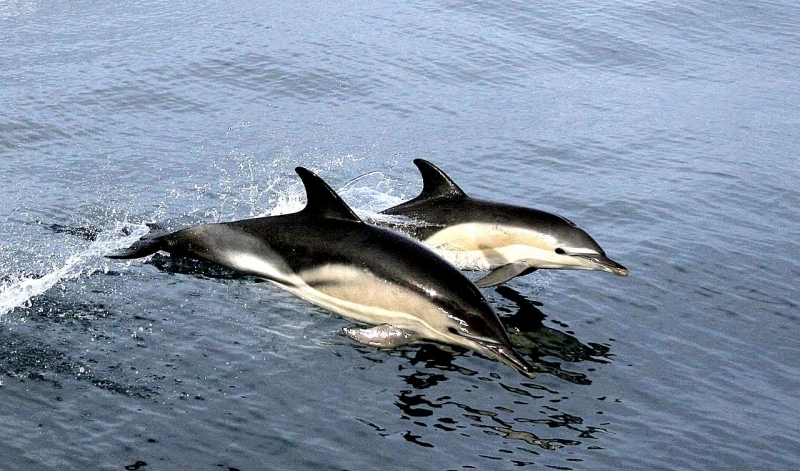 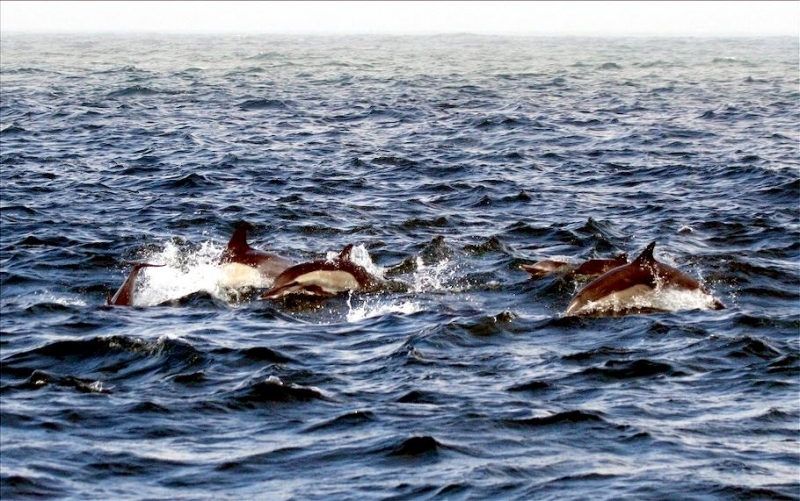 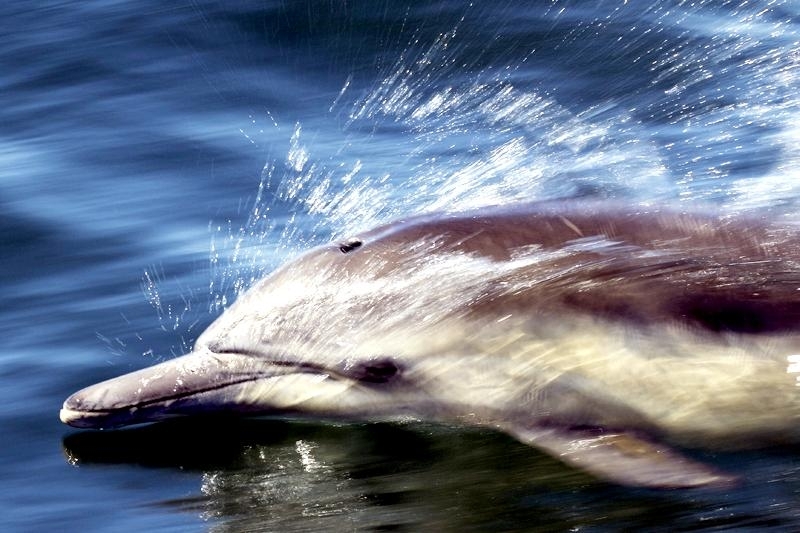 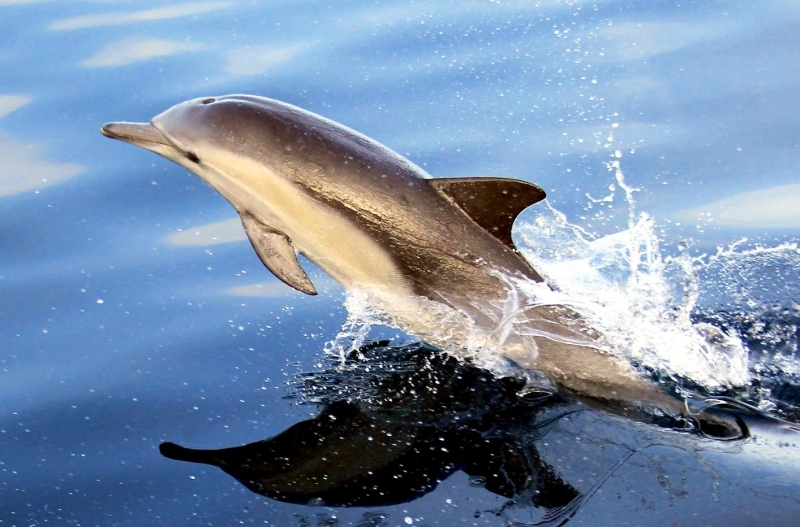 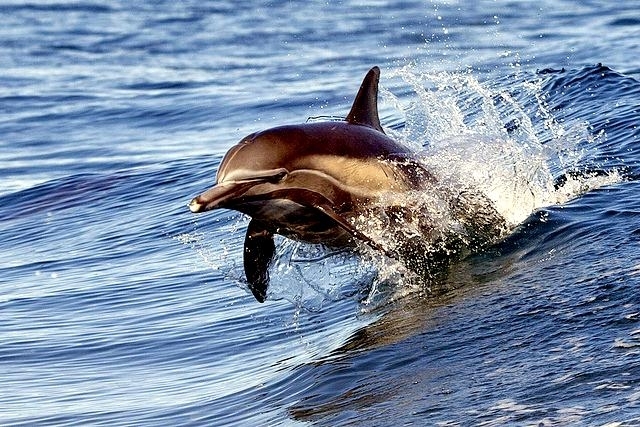 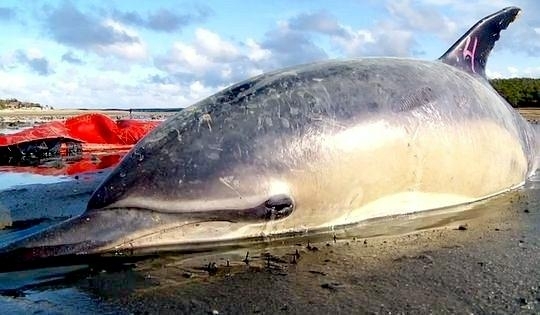 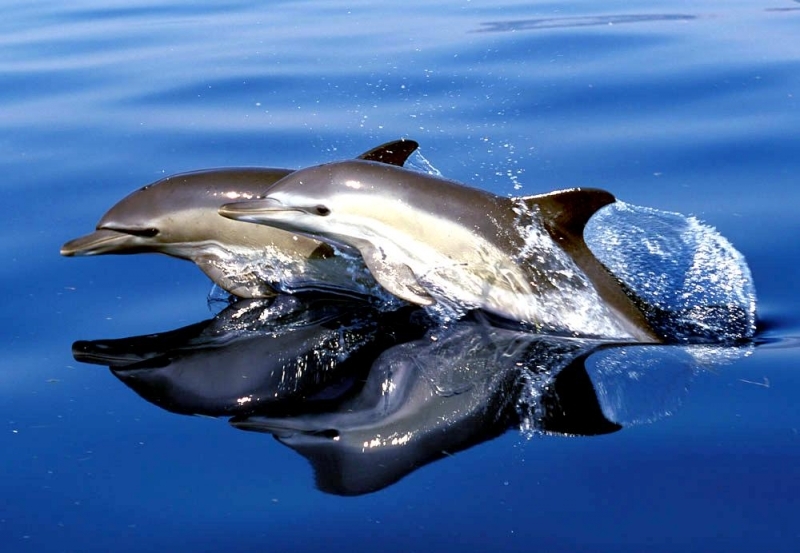 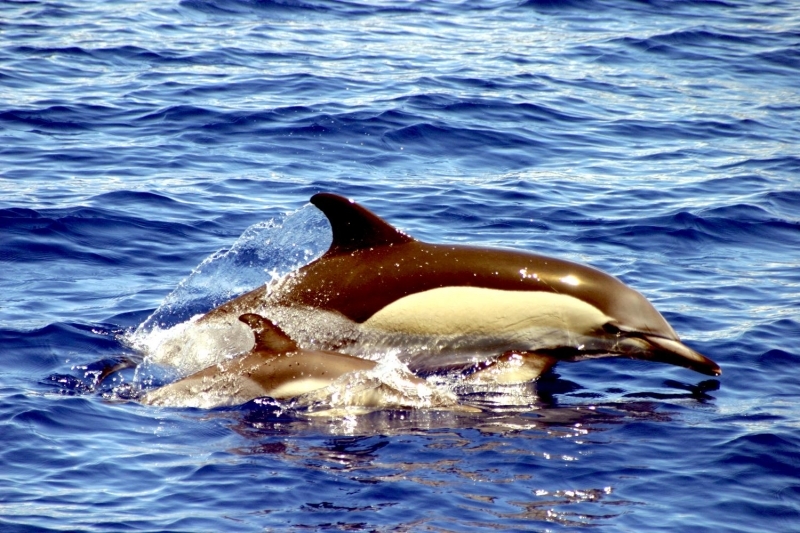 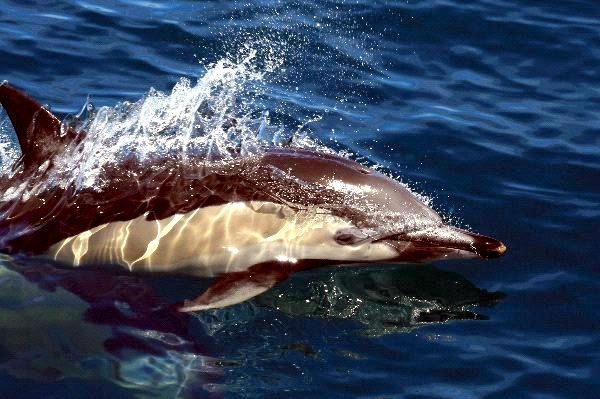 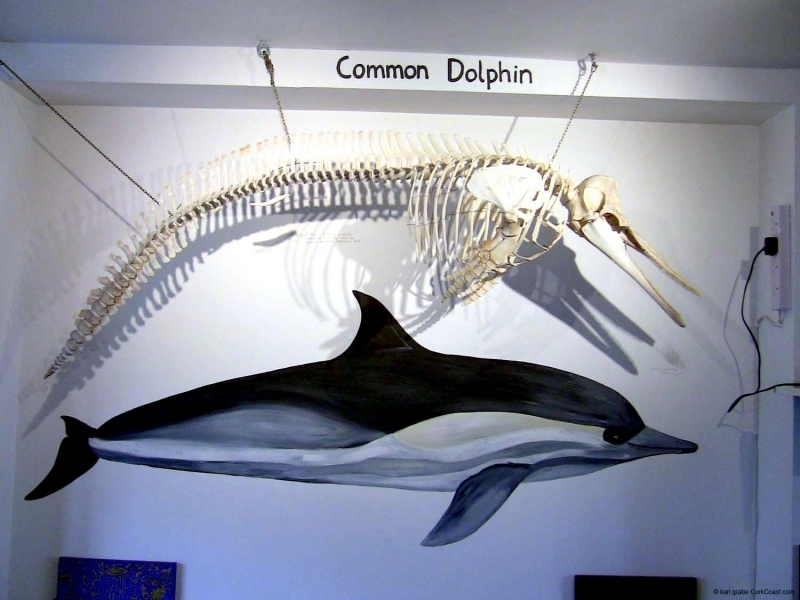 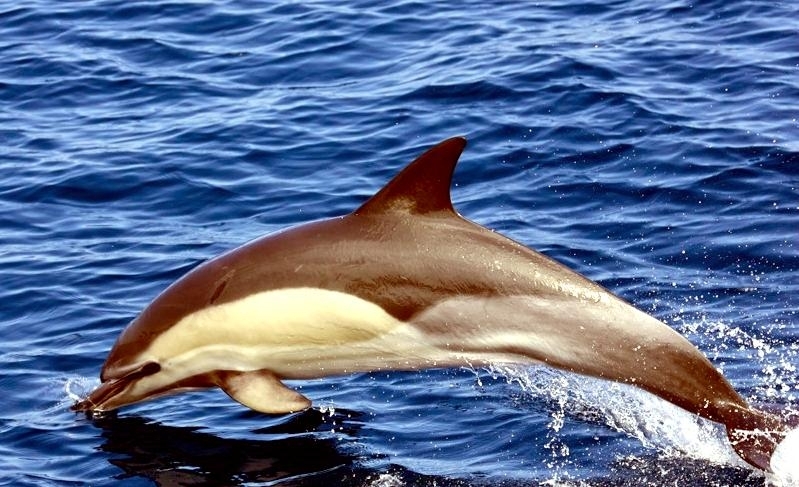 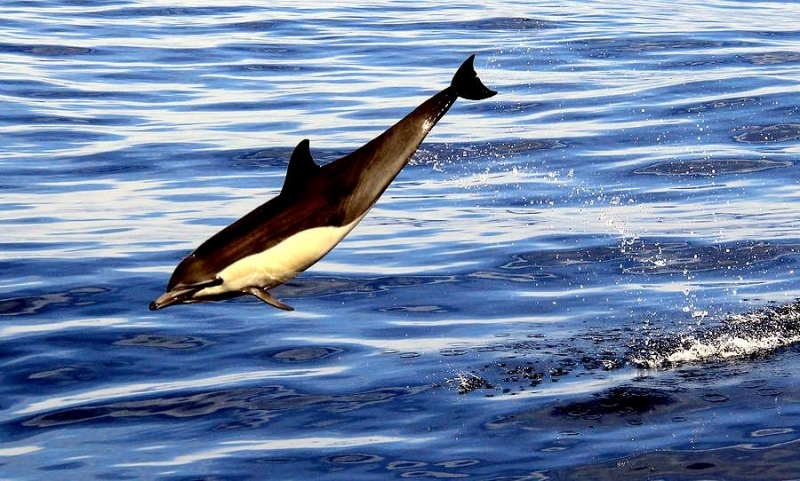 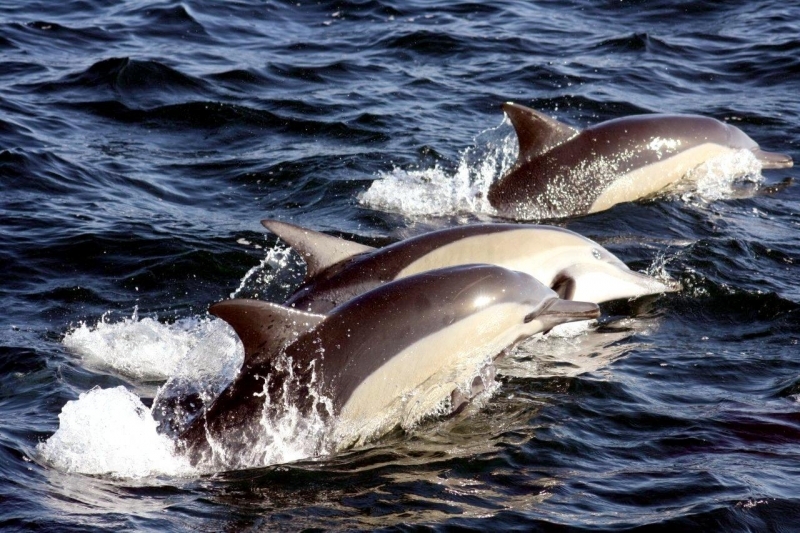 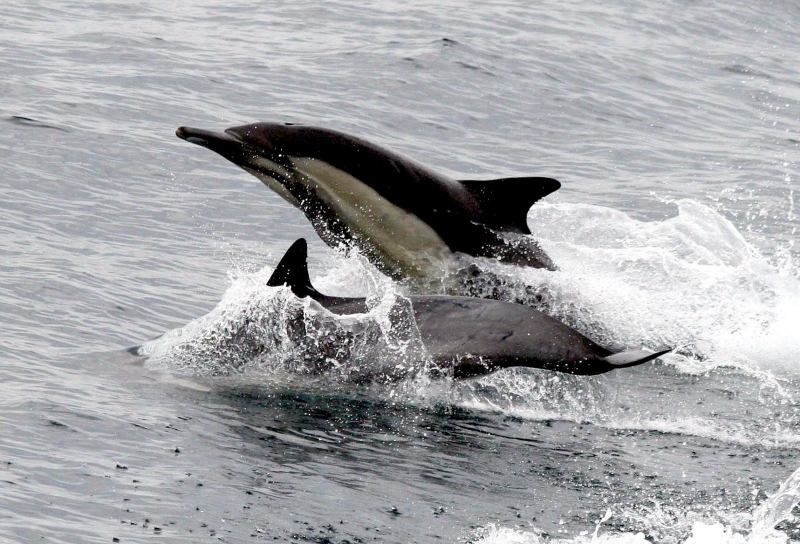 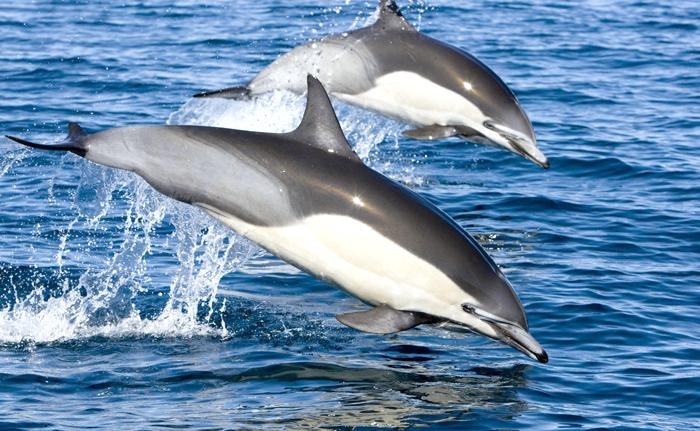 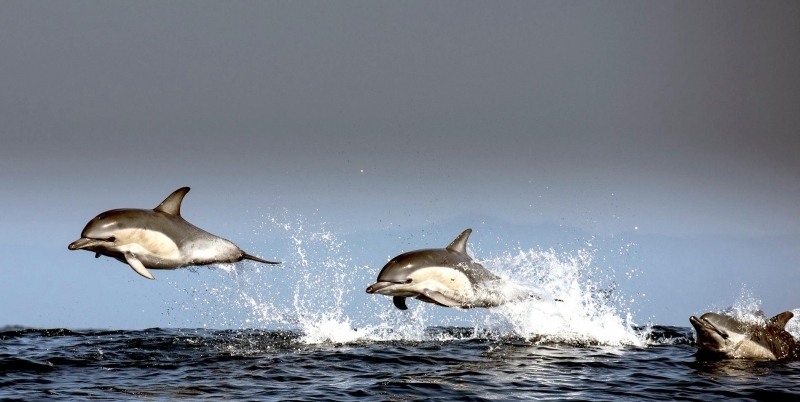 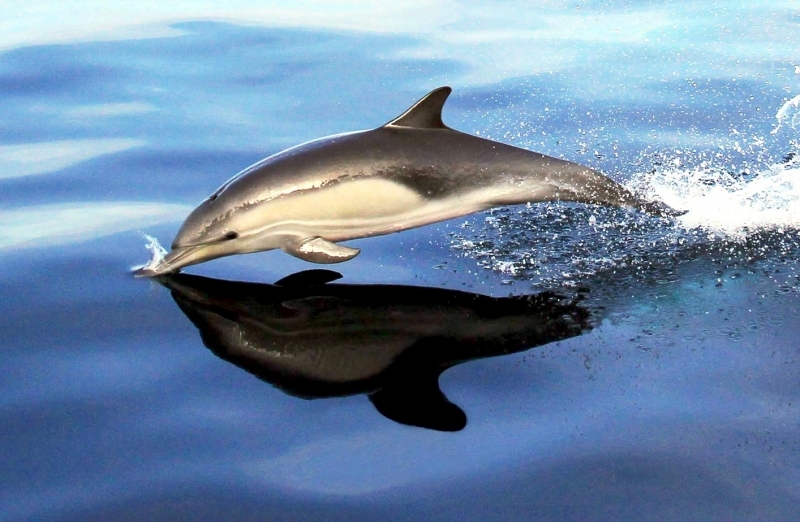 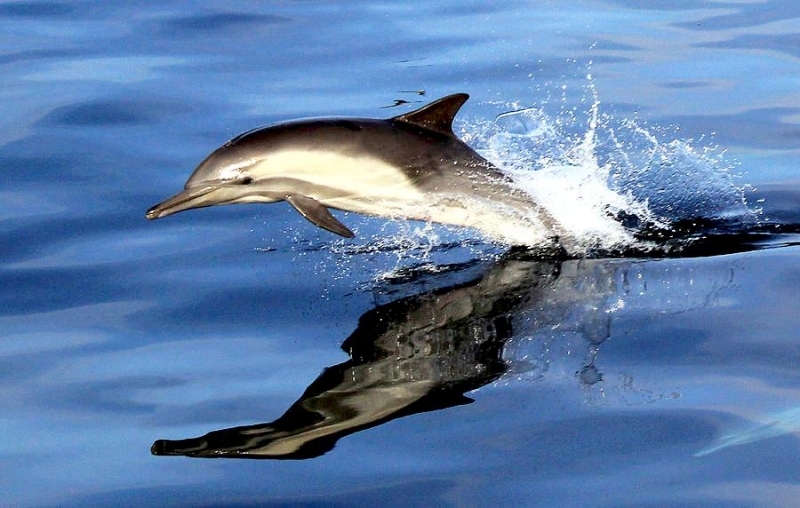 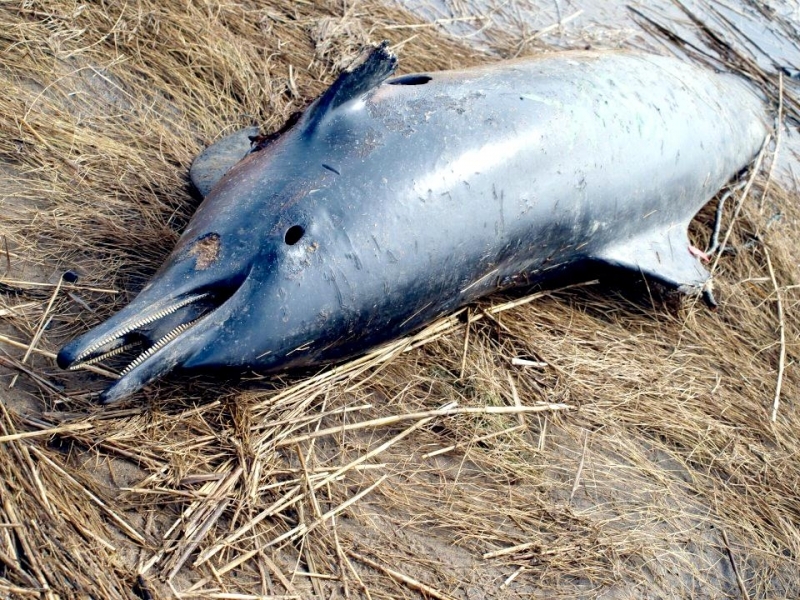 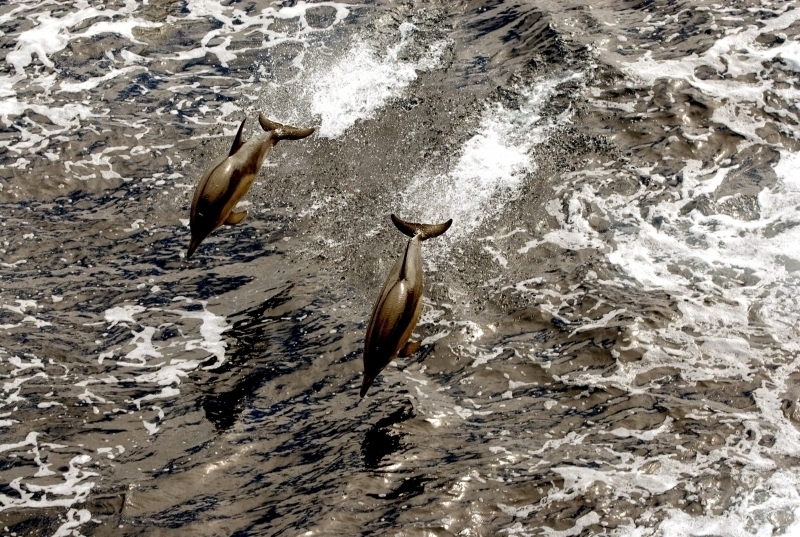 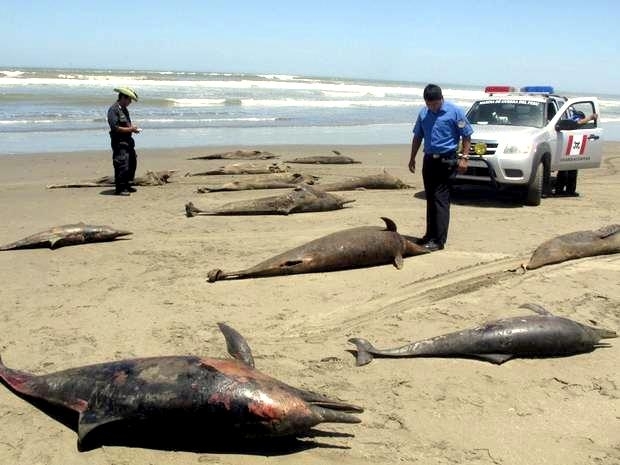 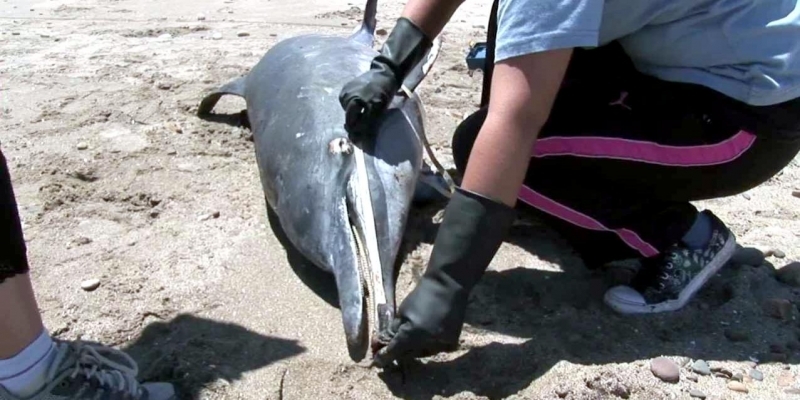 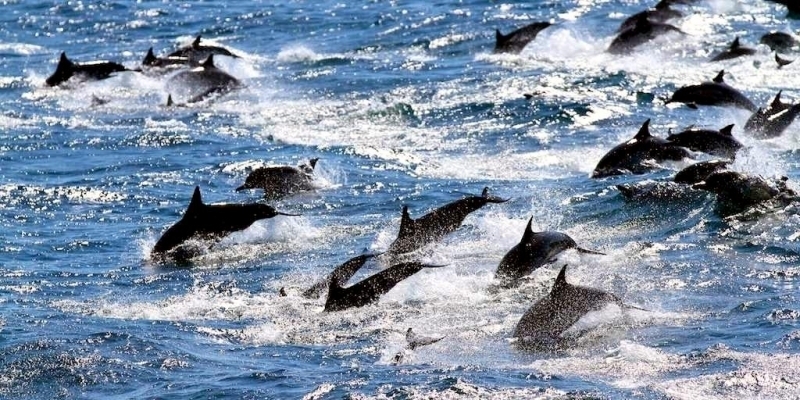 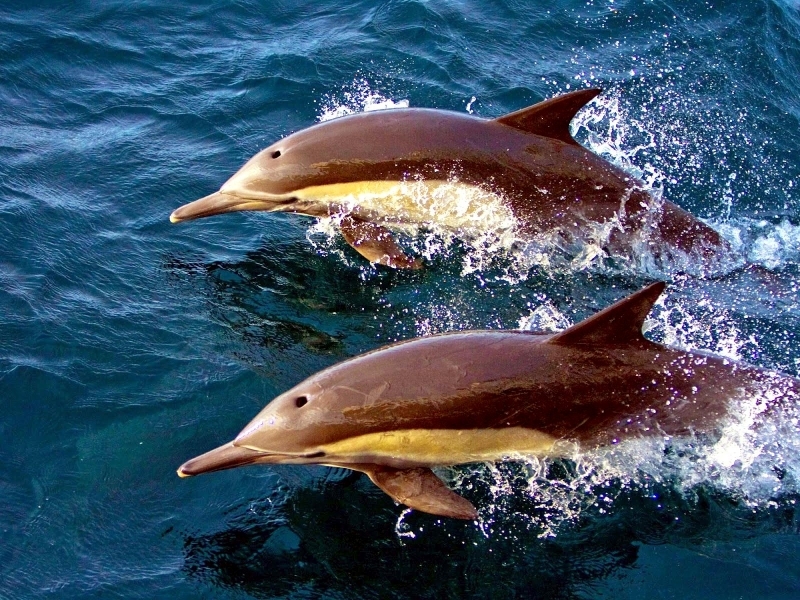 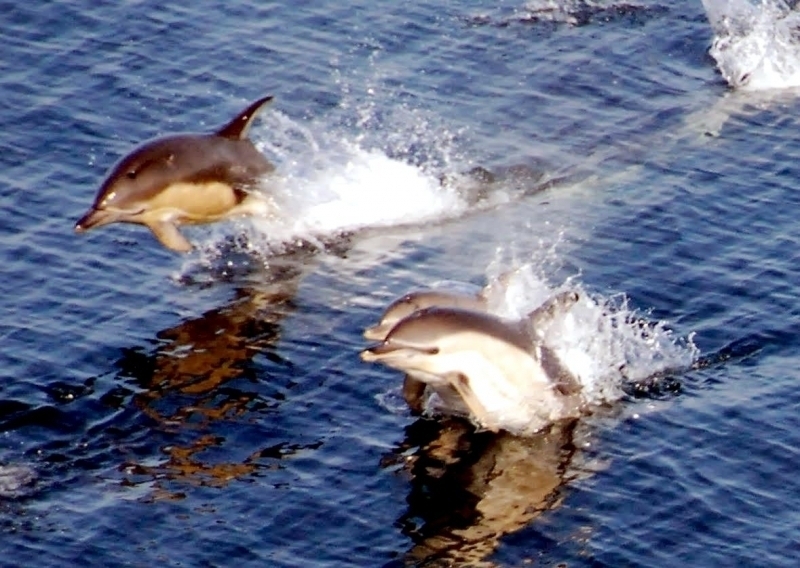 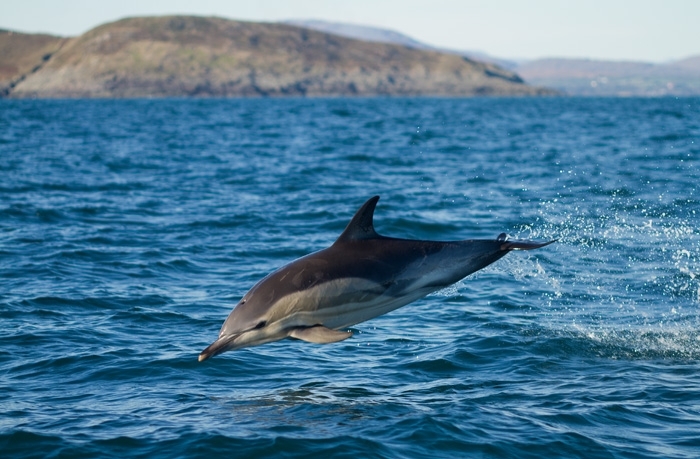 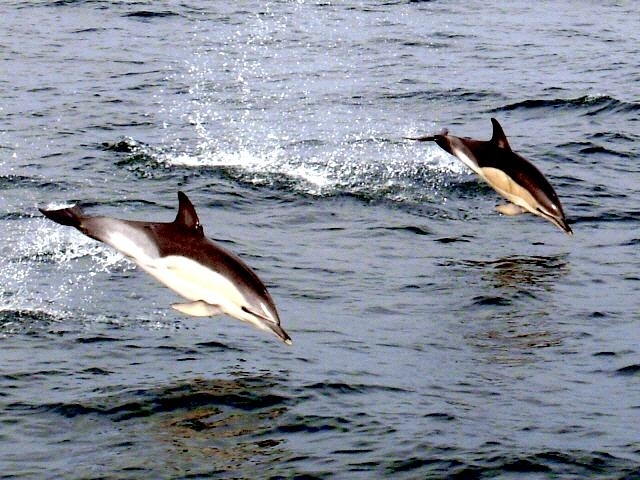 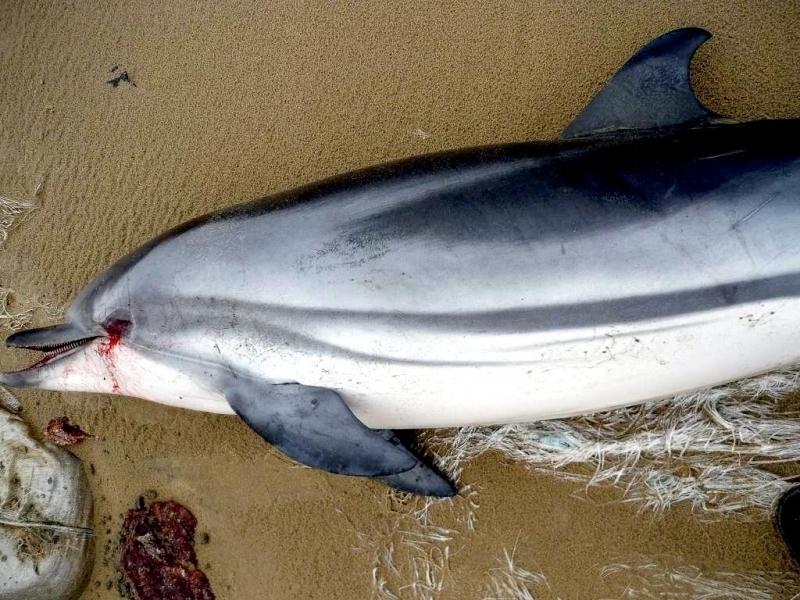 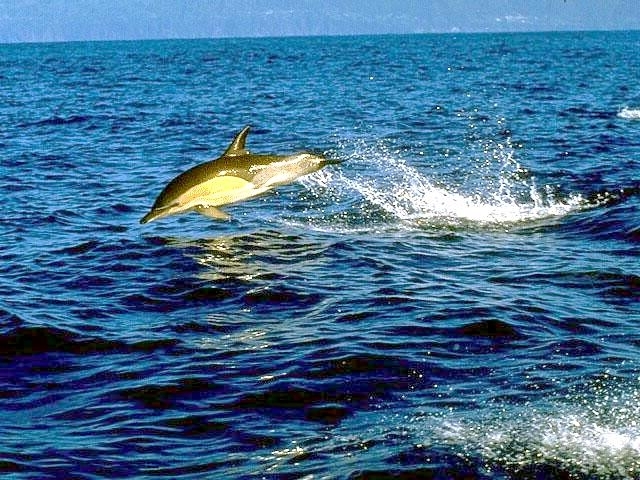 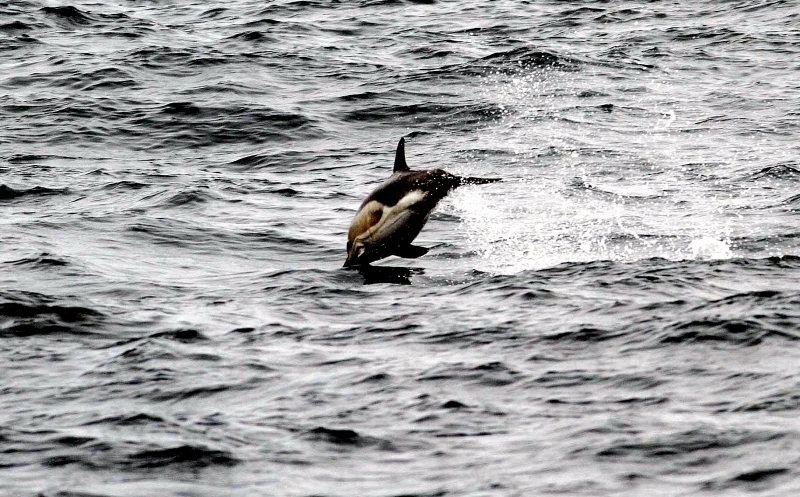 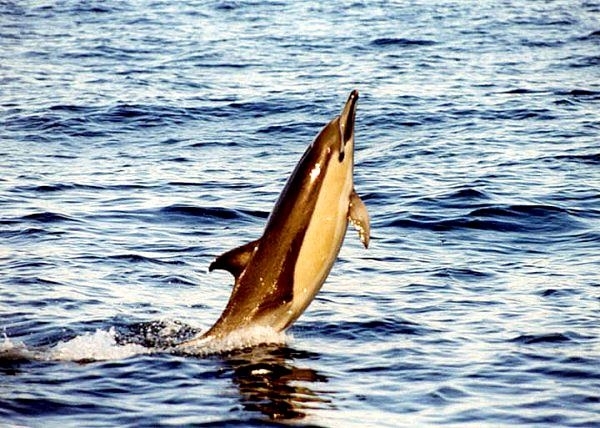 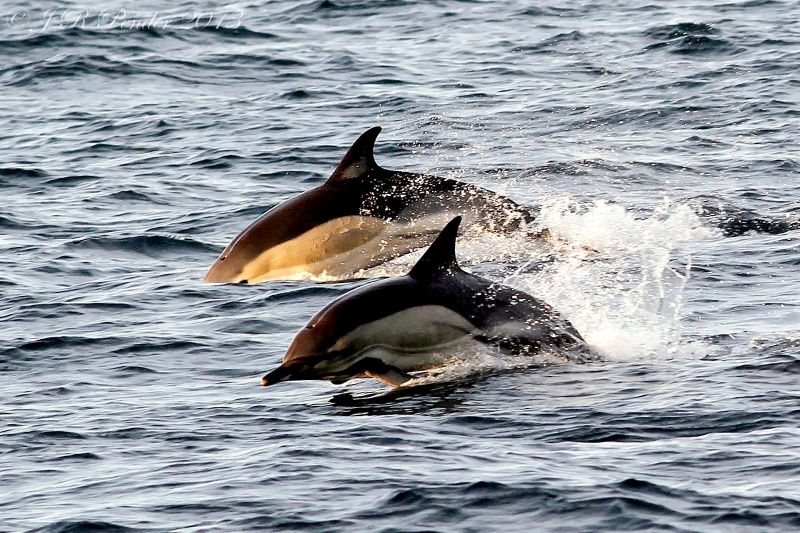 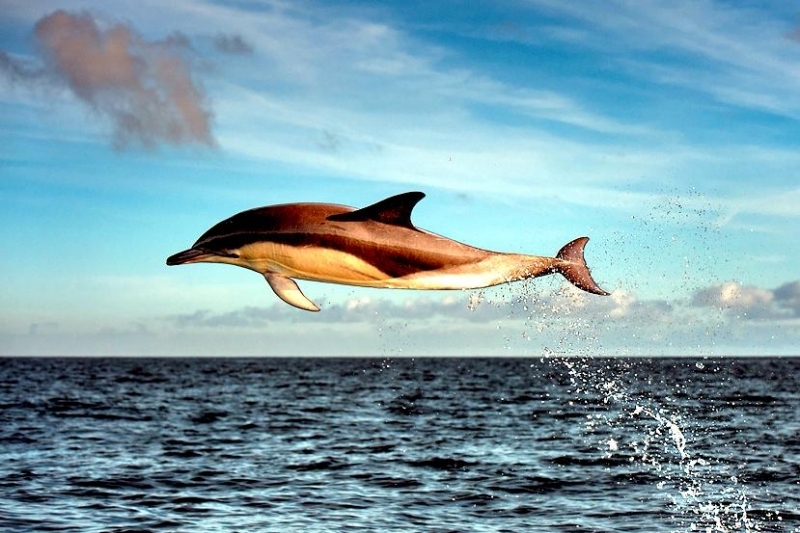 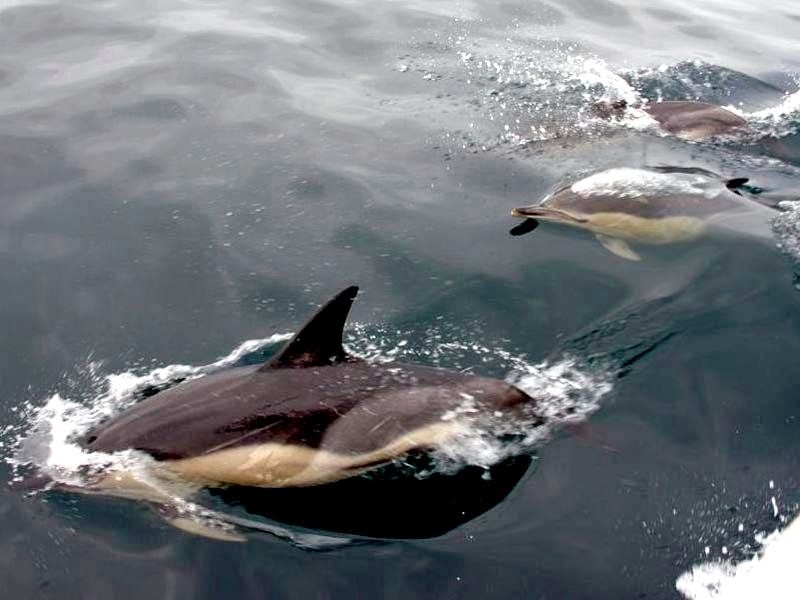 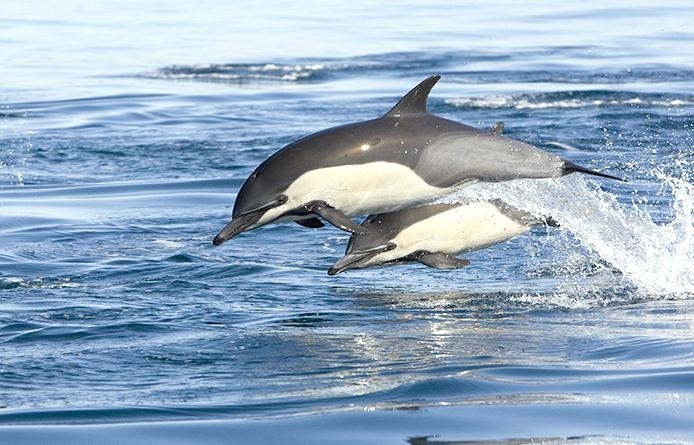 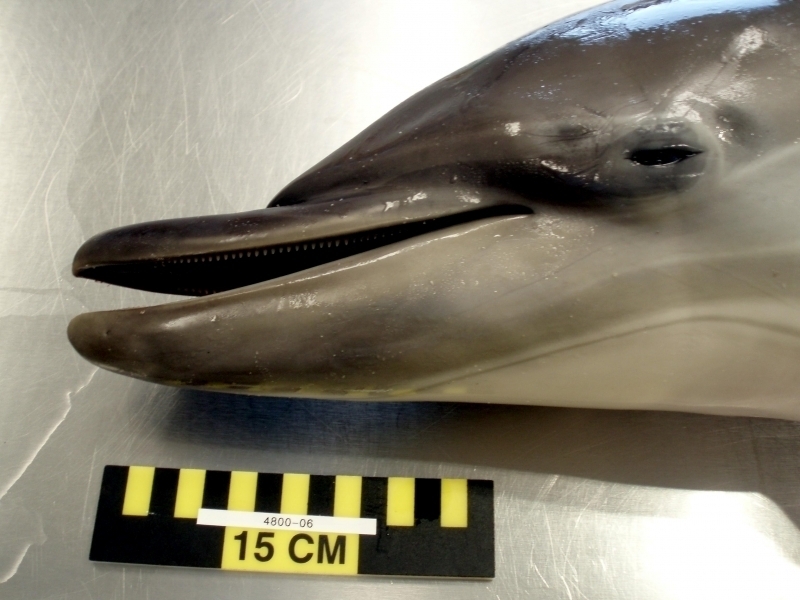 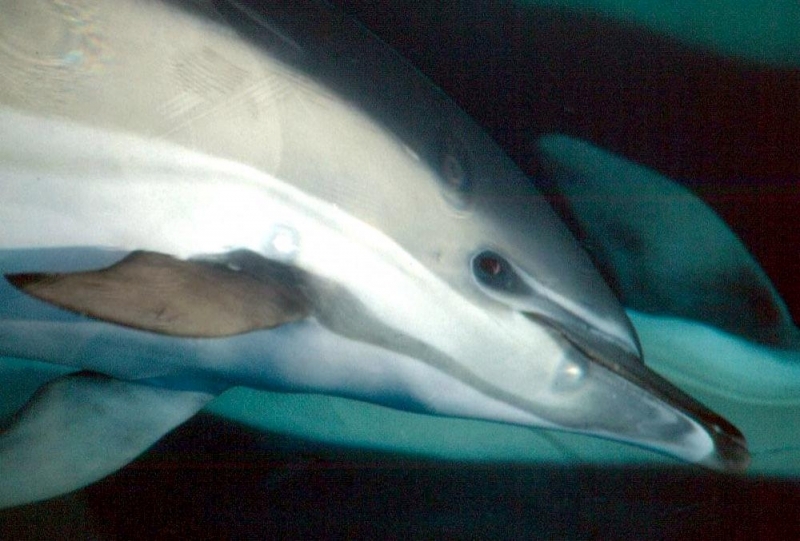 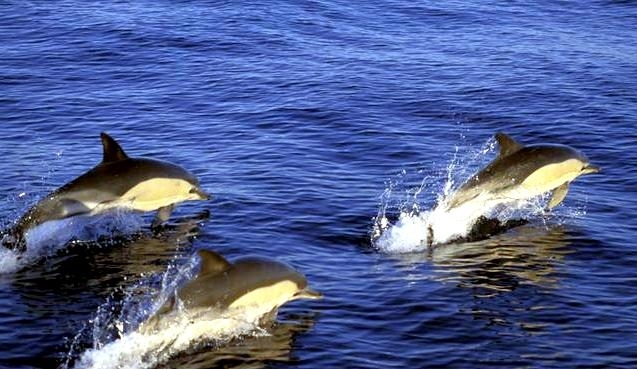 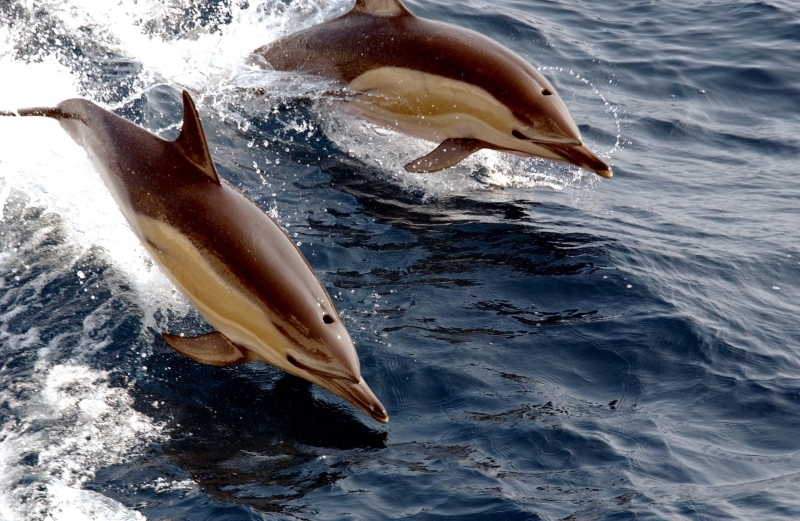 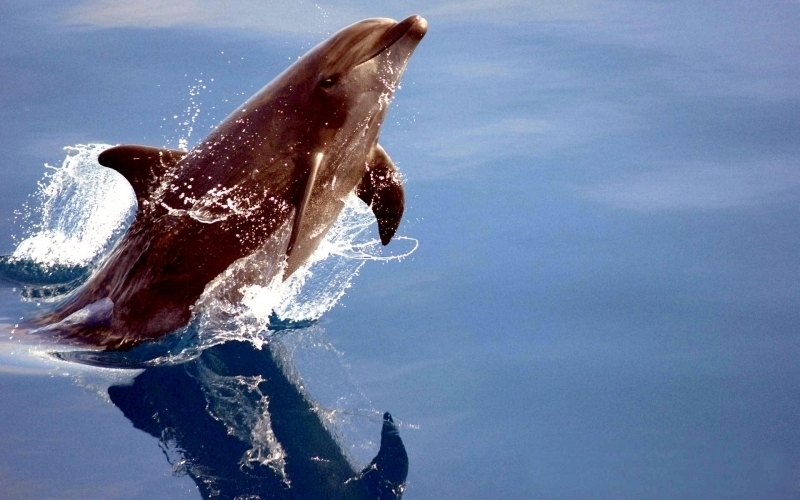 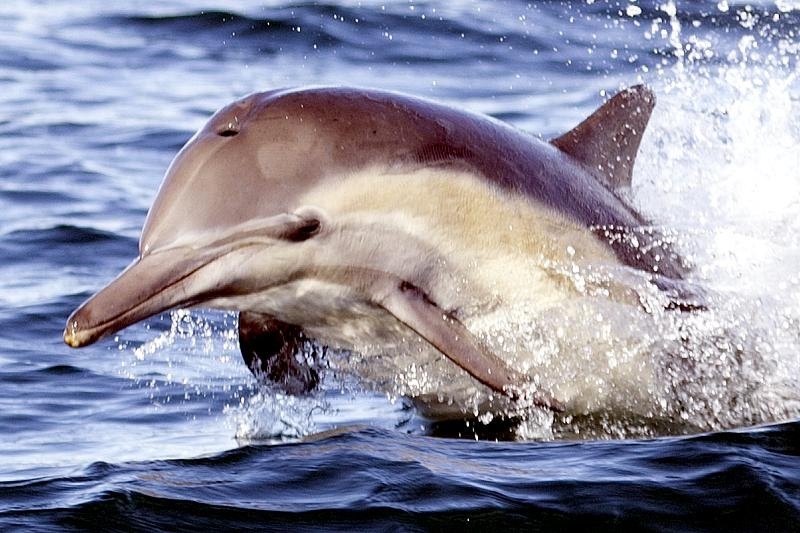 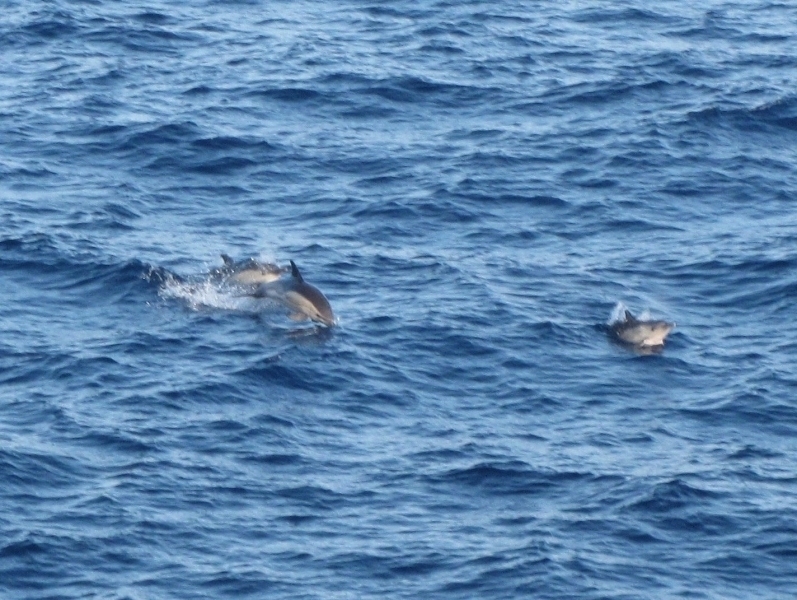 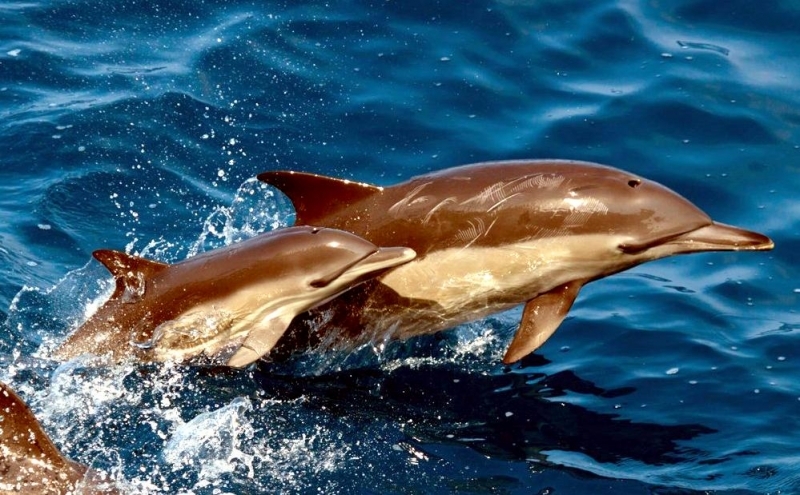 Right now, there is the Short-beaked Common Dolphin and the Long-beaked Common Dolphin that are recognized. 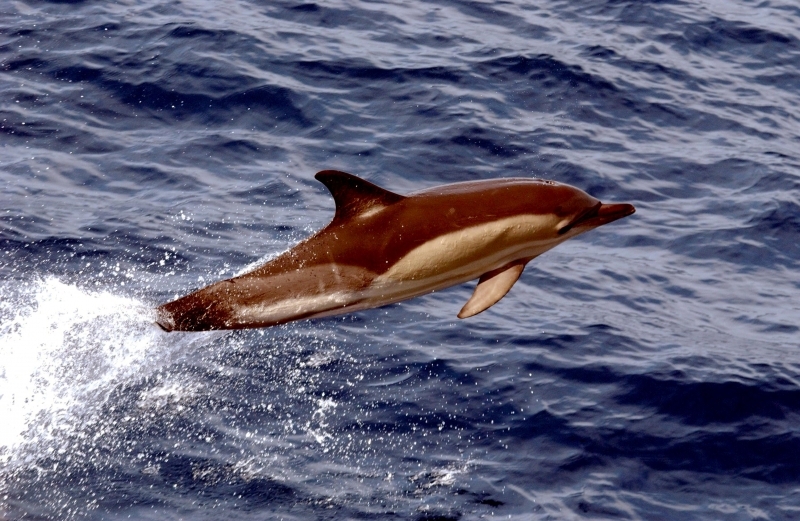 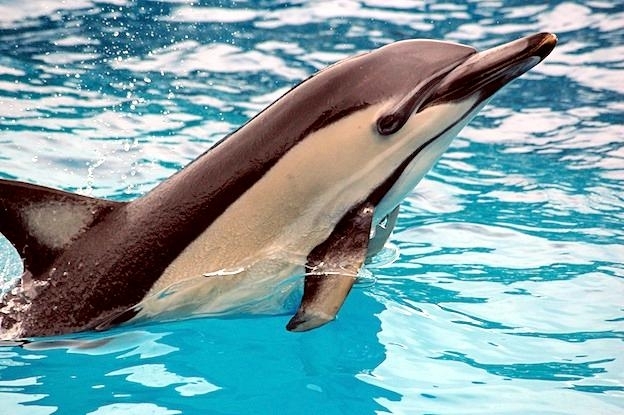 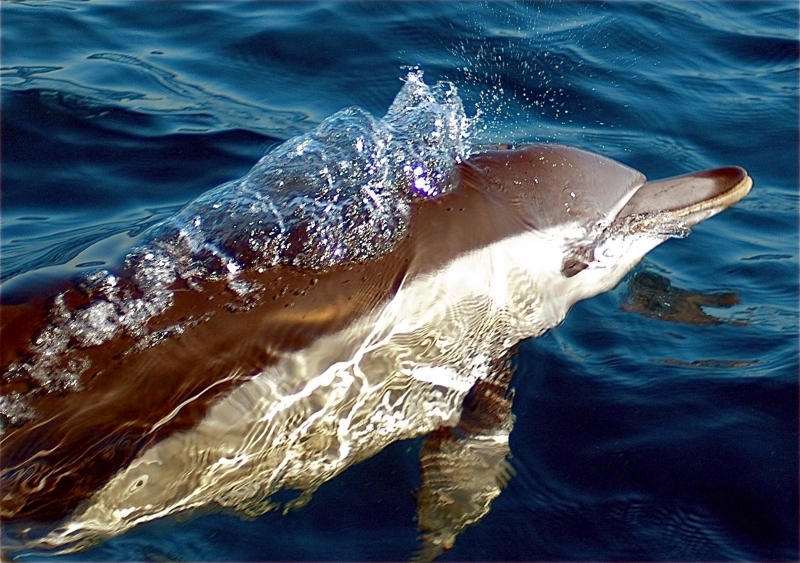 The one that may be added soon is the Arabian Common Dolphin which is only found in the Indian Ocean and the Red Sea. 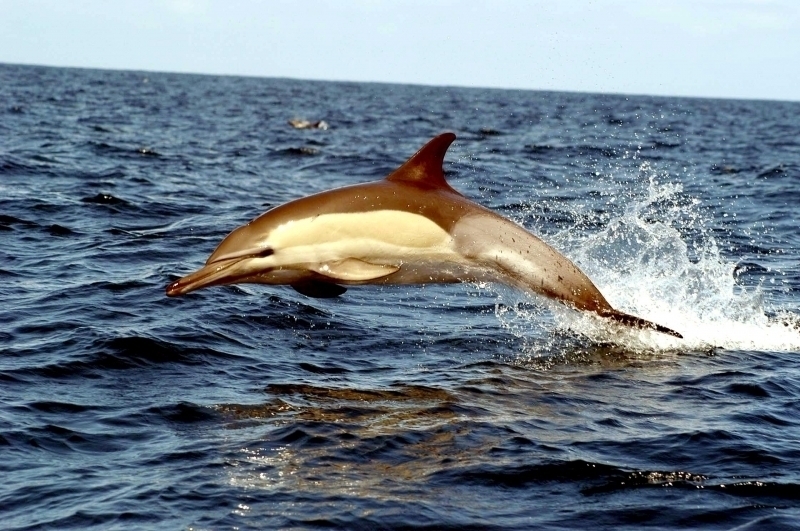 The Common Dolphin’s beak is well-defined and often features a white tip. 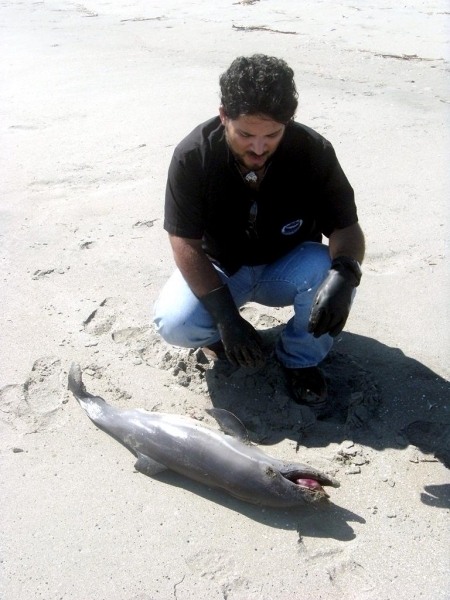 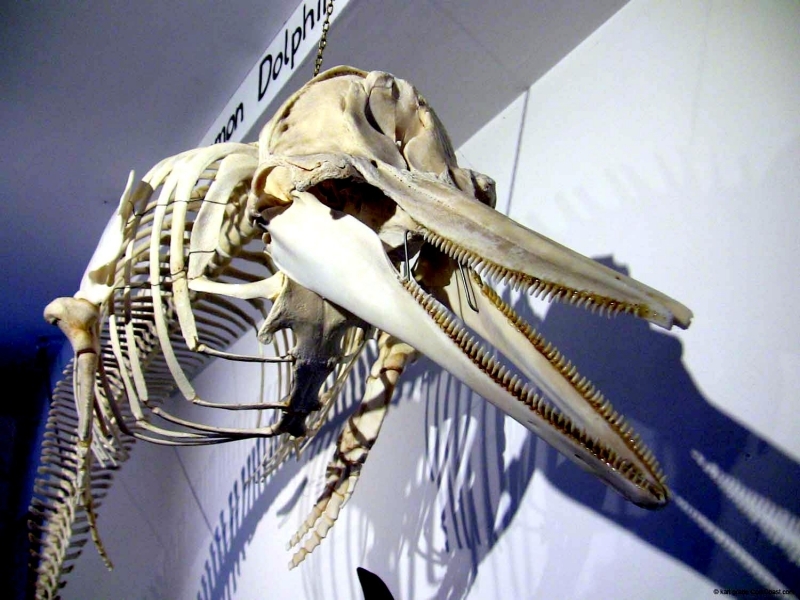 One or more dark stripes are found from the center of the lower jaw to the flippers. 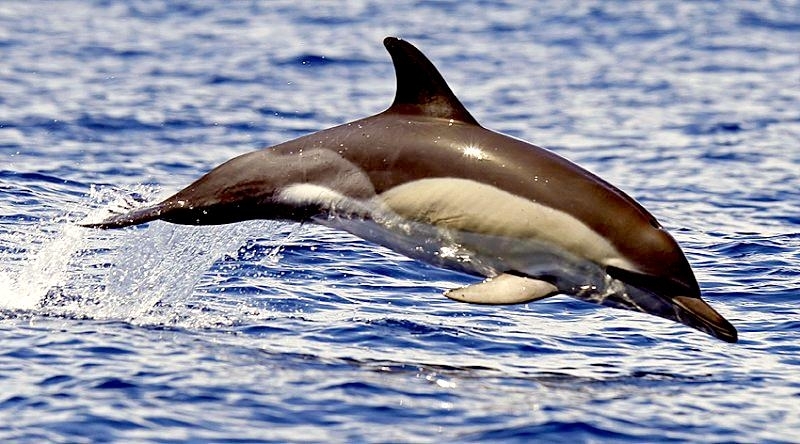 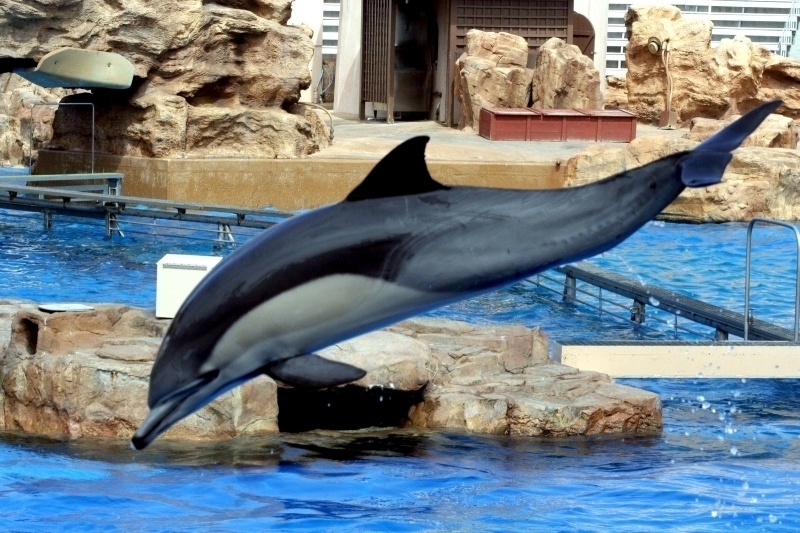 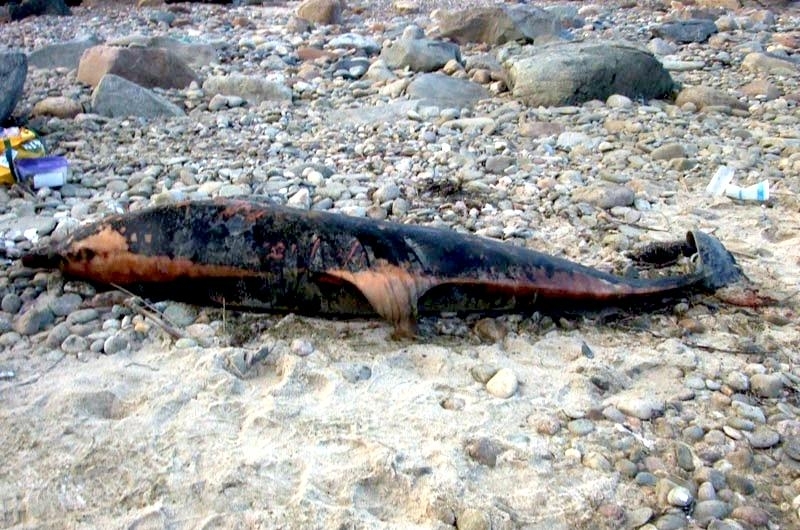 Their dorsal fin is triangular to distinctly falcate (curved) in shape with a pointed tip and usually black with a lighter gray region of varying size near the middle. 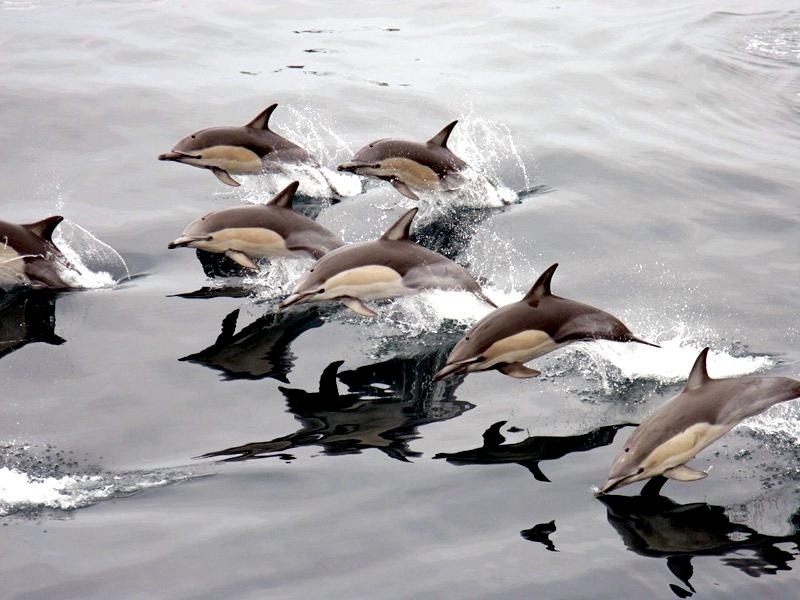 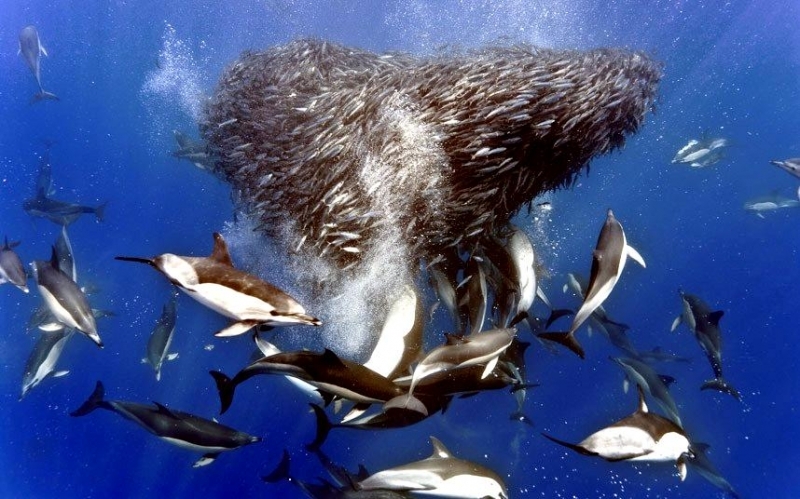 Common Dolphins are very social and often travel in enormous pods of more than a thousand. 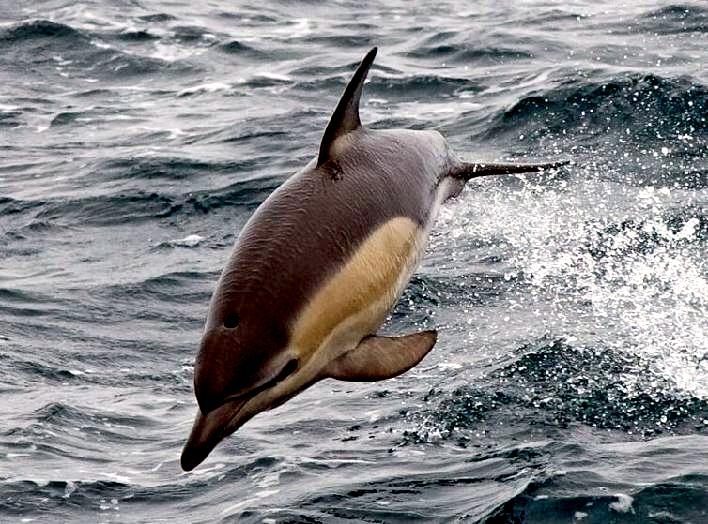 They’re known for their high leaps out of the water, sometimes simultaneously in pods and they enjoy riding the bow waves of boats for long periods of time. 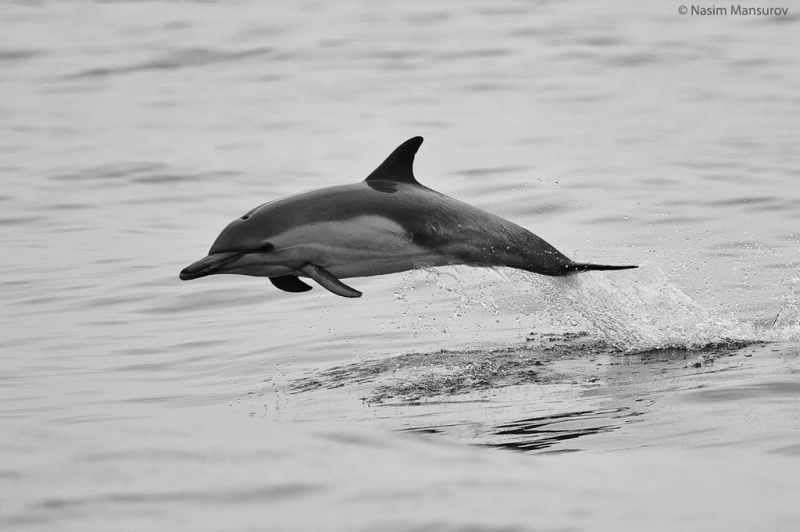 They are a very energetic and highly vocal species that produce a variety of whistles, pulses & clicks that are easily heard by divers. 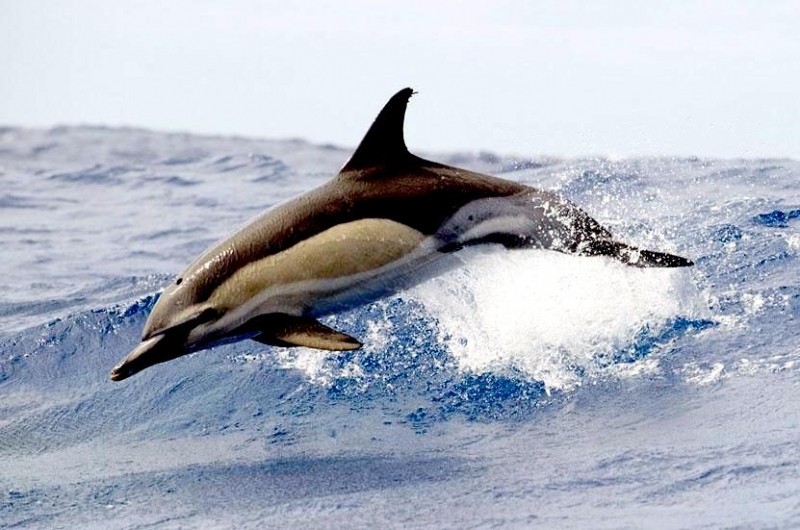 Common Dolphins are found worldwide in the Atlantic Ocean from Iceland to South Africa including the Gulf of Mexico & Caribbean Sea and in the Pacific Ocean from Victoria, British Columbia to Tasmania, Australia. 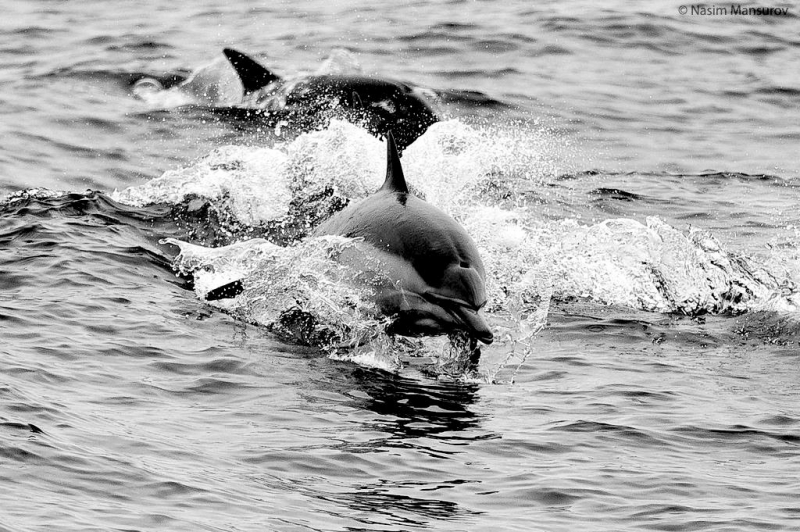 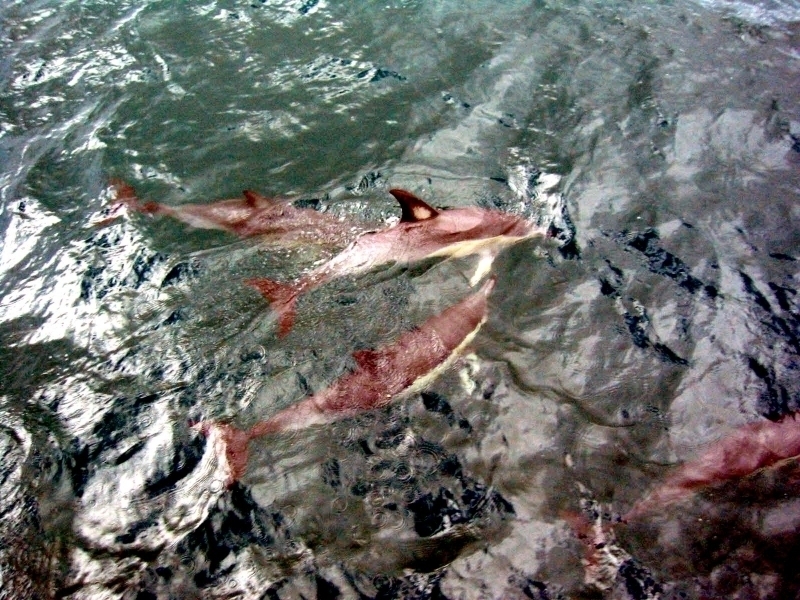 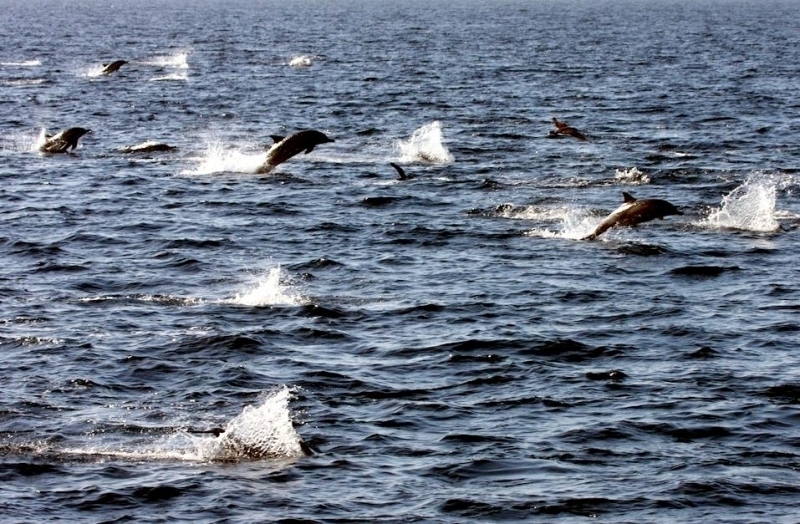 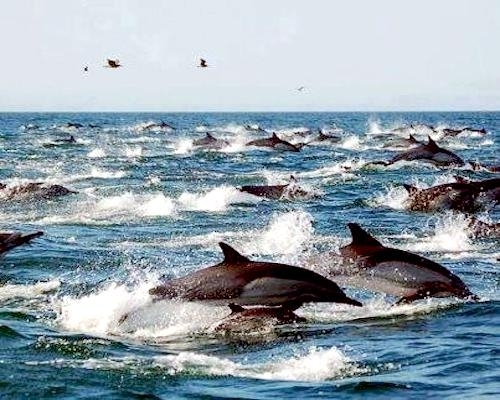 They have also been sighted in the Indian Ocean and the Mediterranean, Black & Red seas as well as in the Persian Gulf. 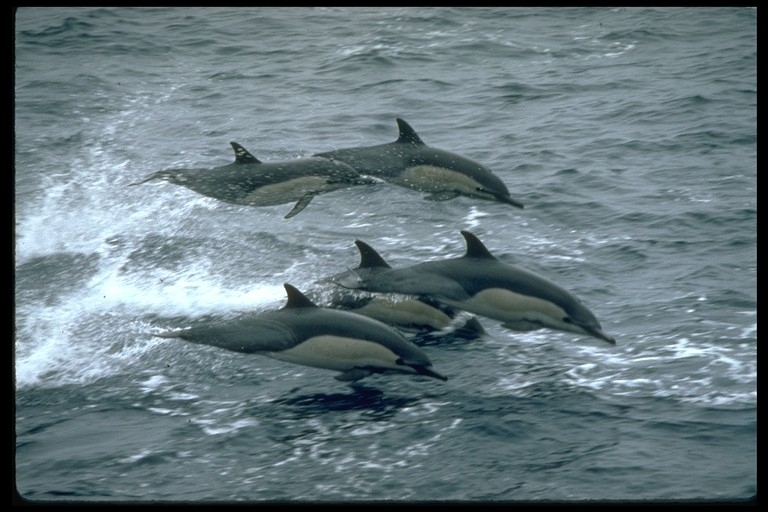 They frequent offshore waters around outer continental shelves often near ridges and are rarely sighted near shore. 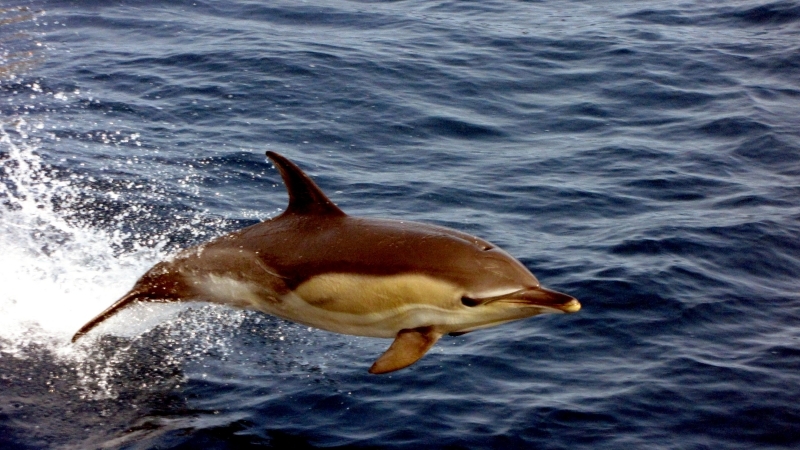 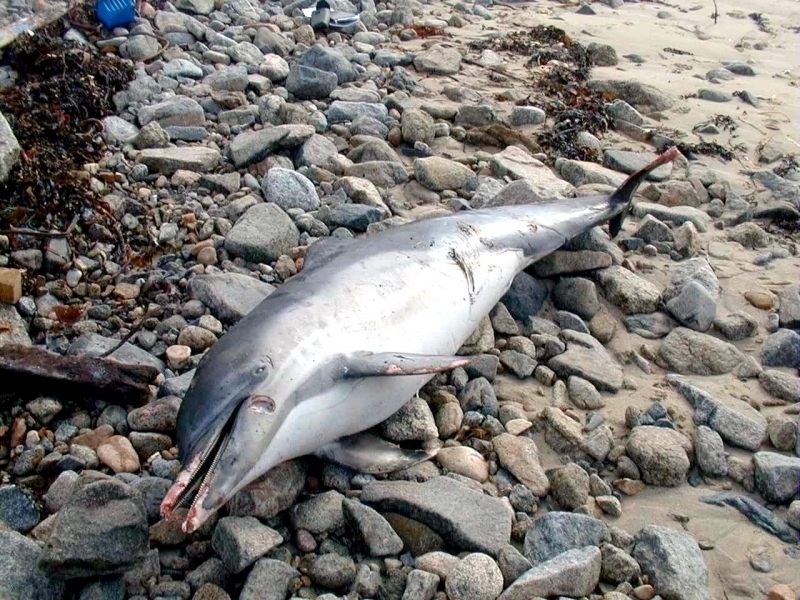 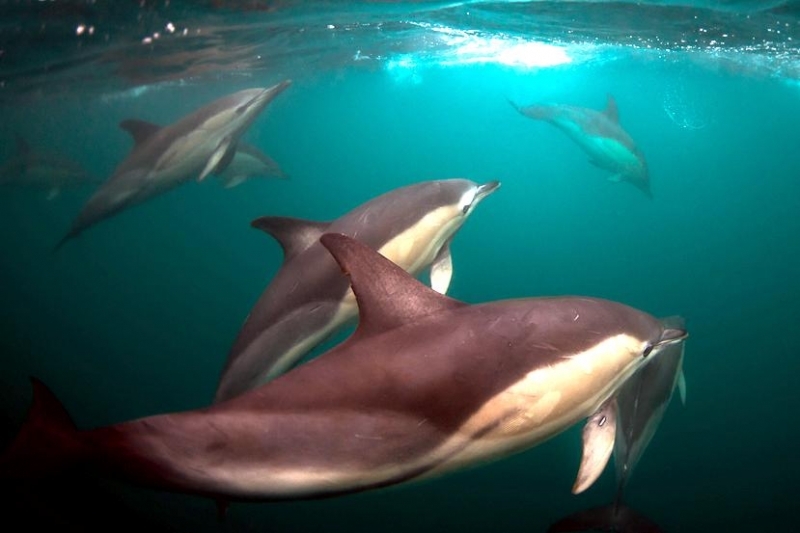 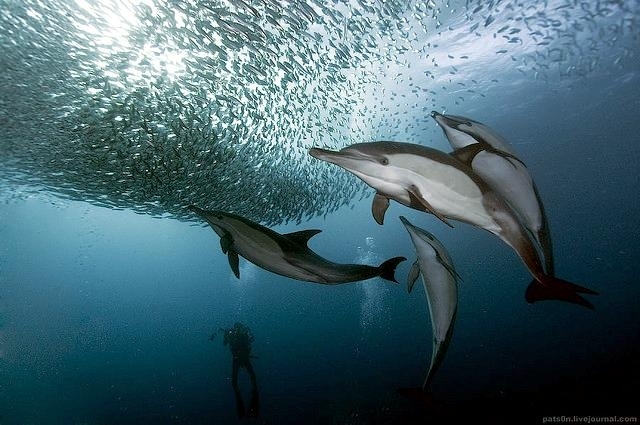 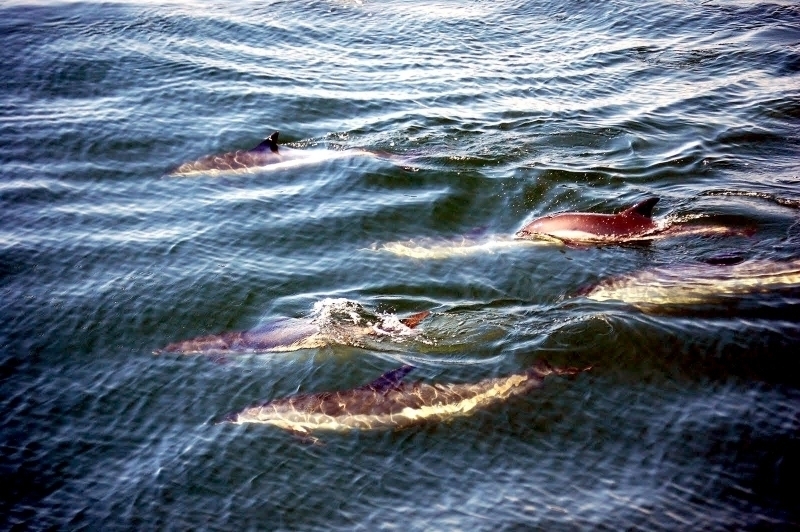 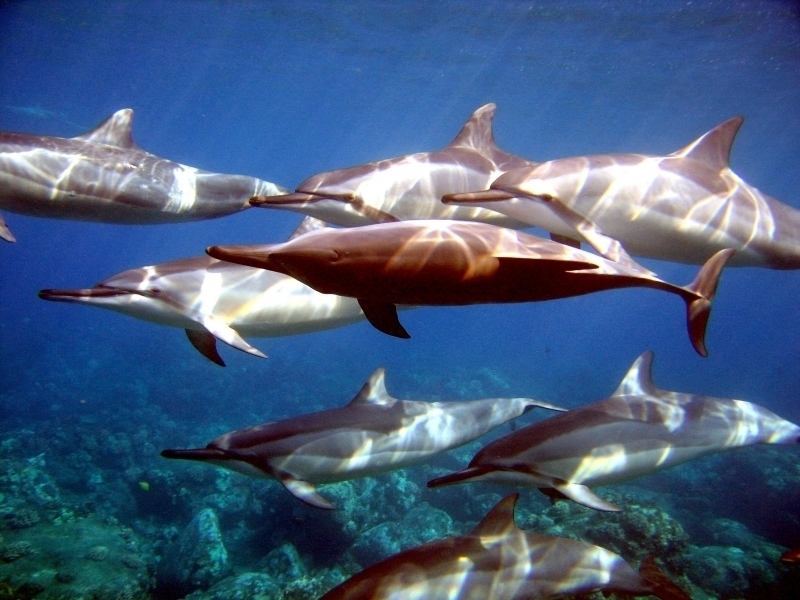 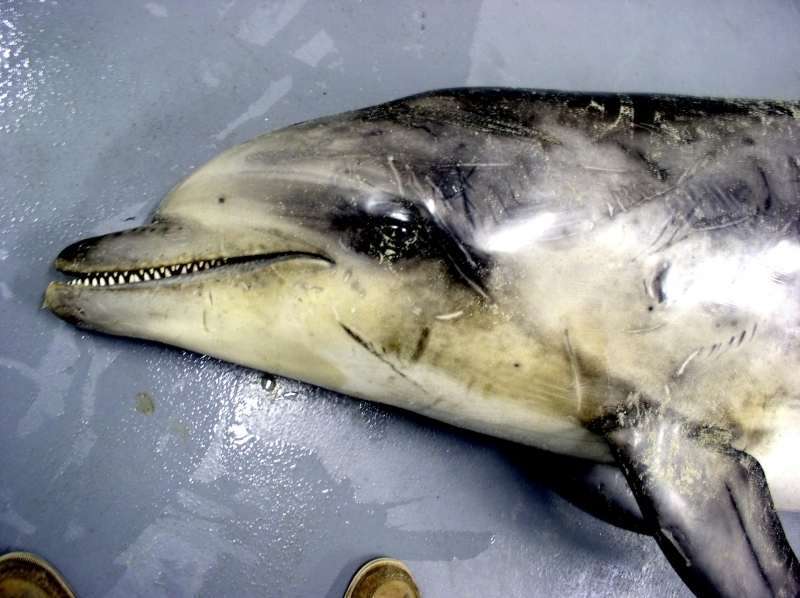 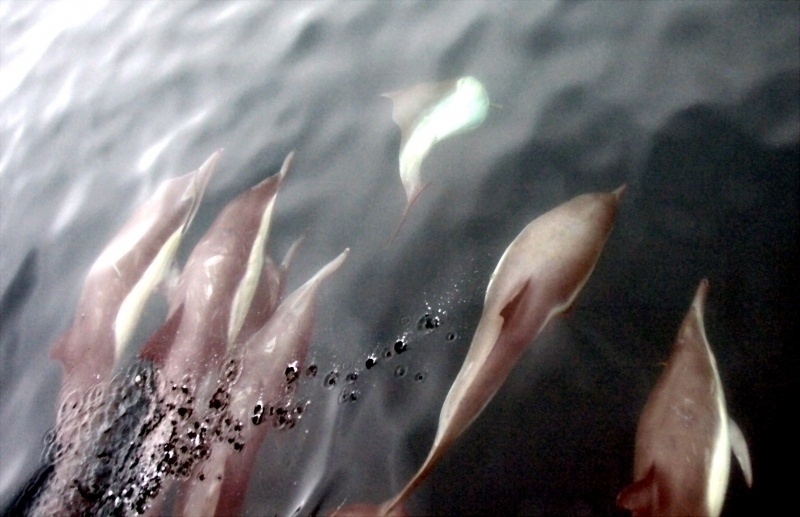 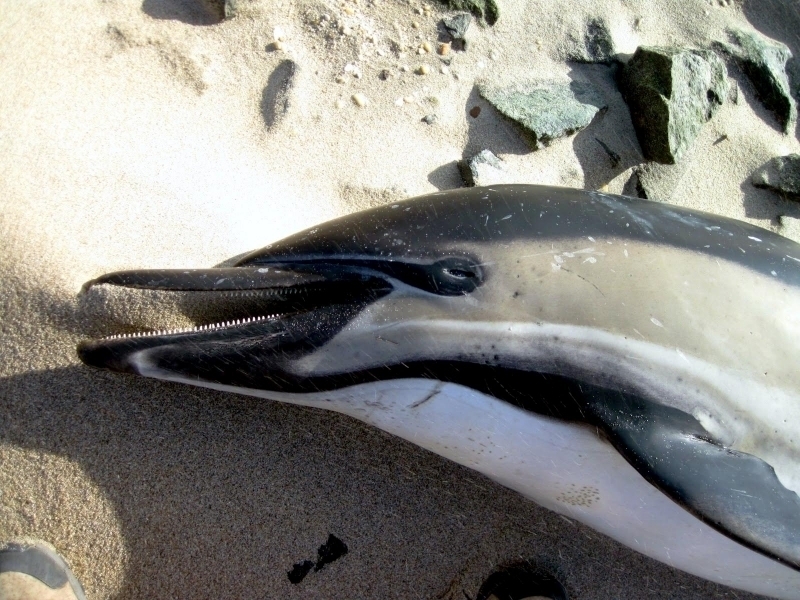 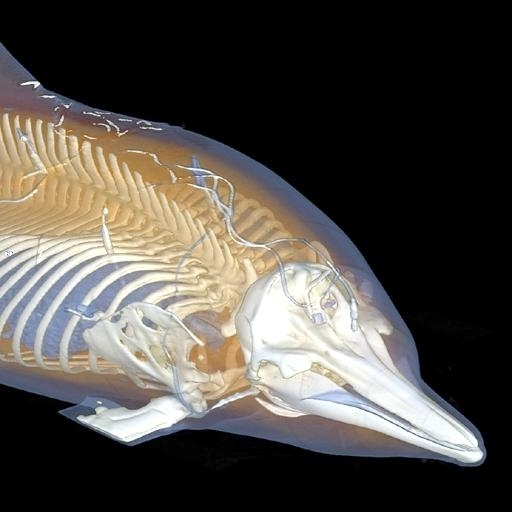 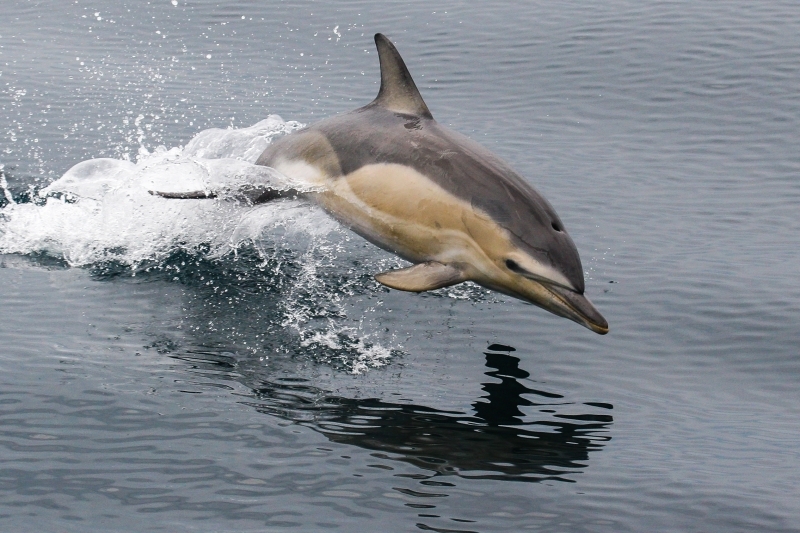 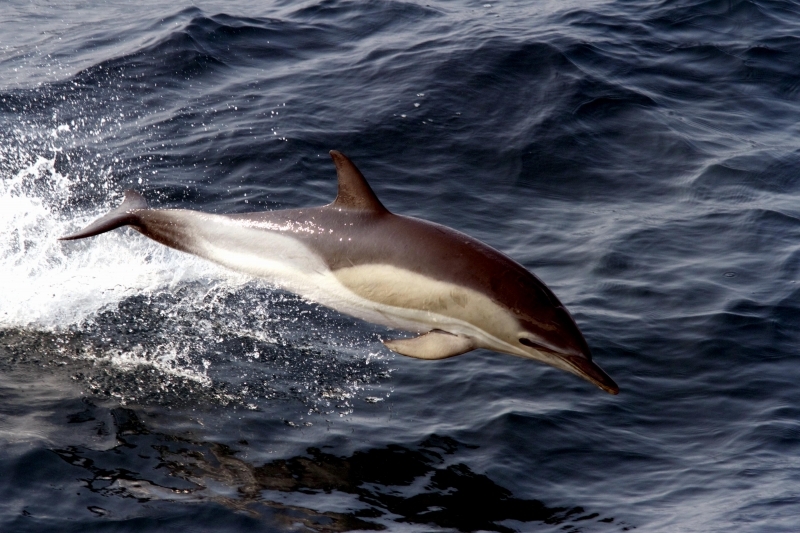 Using echolocation & pod hunting techniques, the Common Dolphin primarily feeds on schooling fishes & squid. 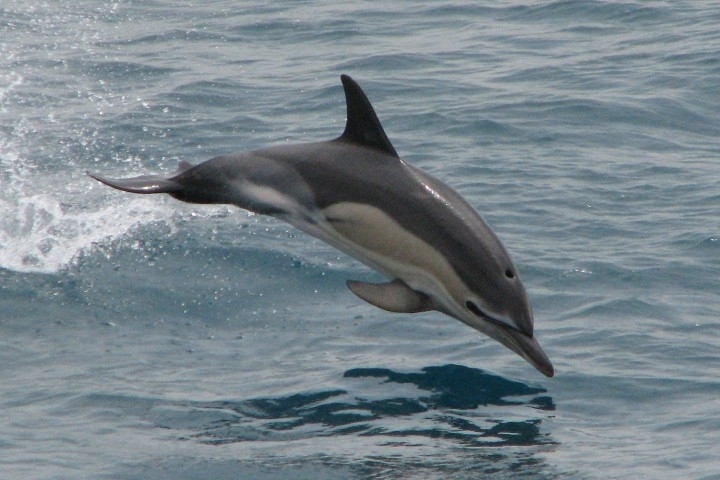 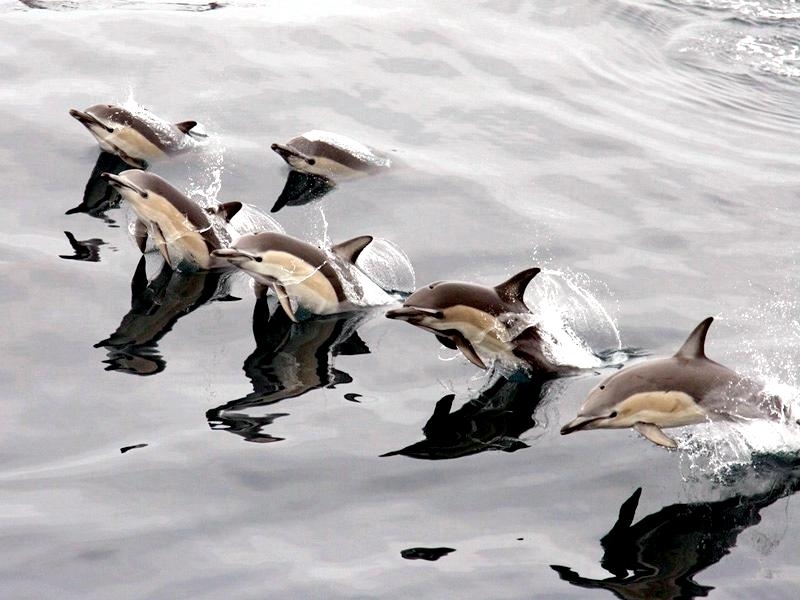 Common Dolphins reproduce sexually and usually produce 1 young.